A simple explanation of how a transistor works in a circuit, and how to connect transistors to create a number of different circuits. No mathematics and no complex wording. Just a completely different approach you can understand . . . Efficiency of a coupling capacitor	. . . . as low as 8%!! No Current - a circuit that takes no current when "sitting around." This eBook starts by turning ON a single transistor with your finger (between two leads) and progresses to describing how a transistor can be connected to the supply rails in 3 different ways. Then it connects two transistors together DIRECTLY or via a capacitor to produce amplifiers and oscillators. As you work through the circuits, the arrangement of the parts are changed slightly to produce an entirely different circuit with new features. This way you gradually progress through a whole range of circuits (with names you can remember) and they are described as if the parts are "moving up and down" or "turning on and off." Even some of the most complex circuits are described in a way you can see them working and once you get an understanding, you can pick up a text book and slog though the mathematics. But before you reach for a text book, you should build at least 50 circuits . . . otherwise you are wasting your time. I understand how the circuits work, because I built them. Not by reading a text book! From a reader, Mr Ashvini Vishvakarma, India. I was never taught the influence of the coupling capacitor in capacitor-coupled single transistor stages. No one told me that RL of one stage delivers the input current of the next stage. No text book has ever mentioned these things before because the writers have never built any of the circuits they are describing. They just copy one-another. That's why this eBook is so informative. It will teach you things, never covered before. I don't talk about "formulae" or produce graphs because transistors have a wide range of parameters - especially the gain - and this has the greatest effect on the operation of a circuit. It is faster to build a circuit and test a transistor than work out the "Q-point" from a load-line. The same with two resistors in parallel. It is faster to put them together and measure the resistance, than look up a nomograph. You learn 10 times faster with actual circuits than theoretical models and 10 times smarter when you know how to avoid mistakes. on it! You put it so clearly and straight forward. What a joy, to learn from your tutorial! This discussion gets 300 visitors a day. That might not sound much but it has recorded 310,000 readers to date. I have not included one complex word or formulae. I have described everything so you can eventually "see" a circuit working in your mind and once you know all the technical requirements, you will be able to see why it does not work. Here is Electronics I course from South Dakota School of Electronics. These lectures cover the mathematical side of how various circuits work. Once you complete this eBook, the lecture notes will be much easier to understand. 0 Cover Page. Table of contents. 2 Physical Operation of Diodes. 3 DC Analysis of Diode Circuits. 4 Small-Signal Diode Model and Its Application. 5 Introduction to B2 Spice from Beige Bag Software. 7 Diode Rectifier Circuits (Half Cycle, Full Cycle, and Bridge). 9 Limiting and Clamping Diode Circuits. Voltage Doubler. Special Diode Types. 10 Bipolar Junction Transistor Construction. NPN Physical Operation. 11 PNP Bipolar Junction Transistor Physical Operation. BJT Examples. 12 DC Analysis of BJT Circuits. 13 The BJT as a Signal Amplifier. 14 BJT Small-Signal Equivalent Circuit Models. 15 BJT Small-Signal Amplifier Examples. 16 Graphical Analysis of a BJT Small-Signal Amplifier. 17 BJT Biasing. Current Mirror. 19 Common Emitter Amplifier with Emitter Degeneration. 21 Common Collector (Emitter Follower) Amplifier. 22 BJT Internal Capacitances. High Frequency Circuit Model. 23 Common Emitter Amplifier Frequency Response. Miller's Theorem. 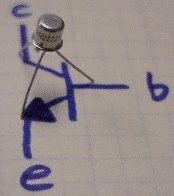 24 BJT as an Electronic Switch. 25 Enhancement Type MOSFET Operation, P-Channel, and CMOS. 26 MOSFET Circuit Symbols, iD-vDS Characteristics. 27 MOSFET Circuits at DC. 28 MOSFET as an Amplifier. Small-Signal Equivalent Circuit Models. 29 MOSFET Small-Signal Amplifier Examples. 30 Biasing MOSFET Amplifiers. MOSFET Current Mirrors. 32 Common Source Amplifier with Source Degeneration. 33 CMOS Common Source Amplifier. 34 MOSFET Common Gate Amplifier. 35 CMOS Common Gate Amplifier. 36 MOSFET Common Drain (Source Follower) Amplifier. 37 CMOS Digital Logic Inverter. It goes into far too much detail and far too much mathematics. There is very little on digital concepts and nothing on microcontrollers. Time would be much better spent on explaining transistor and MOSFET behaviour in a simpler way and getting on with digital circuitry and microcontroller projects. The student should build at least 20 projects for the year as this is the only REAL way to learn. I give the course 2/10. It really is a WASTED year. You simply cannot put a transistor into a circuit and expect it to produce the calculated results. The gain of a transistor can be from 100 to 200 in a batch and this changes the outcome by 50%!! Instead of taking 30 minutes to work out the answer, simply build the circuit and measure the REAL result. There are thousands of transistors and hundreds of different makes, styles and sizes of this amazing device. But there are only two different types. NPN and PNP. The most common is NPN and we will cover it first. There are many different styles but we will use the smallest and cheapest. It is called a GENERAL PURPOSE TRANSISTOR. The type-numbers on the transistor will change according to the country where it was made or sold but the actual capabilities are the SAME. We are talking about the "common" or "ordinary" or original type. It is also referred to as a BJT (Bi-polar Junction Transistor) to identify it from all the other types of transistors (such Field Effect, Uni-junction, SCR,) but we will just call it a TRANSISTOR. Fig 1. NPN Transistor Fig 1 shows an NPN transistor with the legs covering the symbol showing the name for each lead. The leads are BASE, COLLECTOR and EMITTER. The transistor shown in the photo has a metal case with a tiny tag next to the emitter lead. Most small transistors have a plastic case and the leads are in a single line. The side of the transistor has a "front" or "face" with markings such as transistor-type. Symbol Fig 2 shows two "general purpose" transistors with different pinouts. You need to refer to data sheets or test the transistor to find the pinout for the device you are using as there are about 5 different pin-outs. The symbol for an NPN transistor has the arrow on the emitter pointing AWAY from the BASE. Fig 3. NPN "Water Valve" Fig 3 shows the equivalent of an NPN transistor as a water valve. As more current (water) enters the base, more water flows from the collector to the emitter. When no water enters the base, no water flows through the collector-emitter path. Fig 4. NPN connected to the power rails Fig 4 shows an NPN transistor connected to the power rails. The collector connects to a resistor called a LOAD RESISTOR and the emitter connects to the 0v rail or "earth" or "ground." It can also be called the negative rail. The base is the input lead and the collector is the output. The transistor-type BC547 means a general-purpose transistor. Sometimes a general-purpose transistor is called TUN - for Transistor Universal NPN. A general-purpose PNP transistor is called TUP - for Transistor Universal PNP. Click at the top of the video to go to the YouTube website to see more electronics videos. biased with a "base bias" resistor and a LOAD resistor Fig 5 shows an NPN transistor in SELF BIAS mode. This is called a COMMON EMITTER stage and the resistance of the BASE BIAS RESISTOR is selected so the voltage on the collector is half-rail voltage. In this case it is 2.5v. To keep the theory simple, here's how you do it. Use 22k as the load resistor. Select the base bias resistor until the measured voltage on the collector is 2.5v. The base bias resistor will be about 2M2. The base bias resistor feeds a small current into the base and this makes the transistor turn ON and creates a current-flow though the collector-emitter leads. This causes the same current to flow through the load resistor and a voltage-drop is created across this resistor. This lowers the voltage on the collector. The lower voltage causes a lower current to flow into the base, via the base-bias resistor, and the transistor stops turning on a slight amount. The transistor very quickly settles to allowing a certain current to flow through the collector-emitter and produce a voltage at the collector that is just sufficient to allow the right amount of current to enter the base. That's why it is called SELF BIAS. Fig 6. Turning ON an NPN transistor Fig 6 shows the transistor being turned on via a finger. Press hard on the two wires and the LED will illuminate brighter. As you press harder, the resistance of your finger decreases. This allows more current to flow into the base and the transistor turns on harder. Fig 7. Two transistors turning ON Fig 7 shows a second transistor to "amplify the effect of your finger" and the LED illuminates about 100 times brighter. Fig 8. Adding a capacitor Fig 8 shows the effect of putting a capacitor on the base lead. The capacitor must be uncharged and when you apply pressure, the LED will flash brightly then go off. This is because the capacitor gets charged when you touch the wires. As soon as it is charged, NO MORE CURRENT flows though it. The first transistor stops receiving current and the circuit does not keep the LED illuminated. To get the circuit to work again, the capacitor must be discharged. This is a simple concept of how a capacitor works. A large-value capacitor will keep the LED illuminated for a longer period of time as it will take longer to charge. Fig 9. Adding a capacitor to the output Fig 9 shows the effect of putting a capacitor on the output. It must be uncharged for this effect to work. We know from Fig 7 that the circuit will stay ON constantly when the wires are touched but when a capacitor is placed in the OUTPUT, it gets charged when the circuit turns ON and only allows the LED to flash. The electrolytic must be manually discharged to see the effect again. 1. This is a simple explanation of how a transistor works. It amplifies the current entering the base (about 100 times) and the higher current flowing through the collector-emitter leads will illuminate a LED or drive other devices. 2. A capacitor allows current to flow through it until it gets charged. It must be discharged to see the effect again. Transistor Pinouts Just some of the pinouts for a transistor. You need to refer to a data sheet or test the device to determine the pins as there are NO standard pin-outs. Before we go any further, we need to talk about the RESISTOR. It's a two-leaded electrical component that has resistance from a fraction of an OHM to many millions of ohms (depending how much carbon is in the resistor). When the resistance is very low (small) the resistor is equal to a piece of wire and when it is very high, the resistance is equal to . . . . . . The value of a resistor is marked on the body with bands of colours or, in the case of surface-mount resistors, a set of numbers. These identify the value of the resistor in OHMs. When the value of resistance is above one-thousand ohms, we use the letter "k" - for example 1,200 ohms is 1.2k or 1k2. When the value is above one-million ohms, we use the letter "M" - for example 2,200,000 ohms is 2.2M or 2M2. When the value is say 100 ohms we use the letter "R" - 100R. Resistors do "all kinds of things" in a circuit. In other words, they can join two components, separate two components, prevent a component from getting too hot, prevent an amplifier from overloading, allow a capacitor to charge quickly or slowly - and many more. All these things can be achieved because a resistor has ONE SIMPLE FEATURE . . .
A resistor limits (or reduces) the current-flow. That's all a resistor does. It limits - or controls - or allows - a current to flow according to the resistance of the resistor. This simple feature of limiting the current is like a man with a hammer - he can hammer nails, break glass, drive a pole into the ground and lots more and a resistor can do more than 12 different "things." When a current flows through a resistor, a voltage is developed across it. This voltage is called the VOLTAGE DROP. (It is also called the VOLTAGE LOST ACROSS THE RESISTOR). The following 3 examples will help you understand the terms VOLTAGE DROP and VOLTAGE LOST. In diagram A, the resistor is only connected at one end and NO CURRENT will flow. This means the VOLTAGE DROP across the resistor will be ZERO. 12v is present on the lower lead of the resistor because no current is flowing. In diagram B, the resistor is connected to a glowing lamp and current will flow. The voltage across the resistor may be 3v. In other words, the voltage LOST is 3v and the lamp gets only 9v. We also say the VOLTAGE DROP is 3v across the resistor. In diagram C, the resistor is connected across the power rails and the voltage across it MUST be 12v. We do not talk about voltage drop or voltage lost in this circuit because there are no other components. We just say: the voltage across the resistor is 12v. This will help you understand how a resistor works. Nearly ALL circuits (and individual stages) use a VOLTAGE DIVIDER. A Voltage Divider is simply two resistors connected in series. However it may not be two resistors. It may be a resistor and a transistor. A transistor is really a resistor - a variable resistor - and they form a voltage divider with a resistor called the LOAD. Sometimes more resistors are present (such as resistors creating an H-bridge biasing network) and there may be more than one voltage divider in a stage. However the same principle applies. CURRENT FLOWS THROUGH THE COMBINATION (the current is the same for each resistor because they are in series). Multiply the current (in amps) by the resistance (in ohms) to get the voltage across each resistor. In most cases, the sum of the voltages across each resistor must add up to the supply voltage. This is as far as we can go without using mathematics. A "Stage" is a set of components with a capacitor at the input and a capacitor on the output. We have already seen the fact that the capacitor only has an effect on the circuit during the time when it gets charged. It also has an effect when it gets discharged. But when the voltage on either lead does not rise or fall, NO CURRENT flows through the capacitor. When a capacitor is placed between two stages, it gradually charges. When it is charged, the voltage on one stage does not affect the voltage on the next stage. That's why the capacitor is drawn as two lines with a gap. A capacitor is like putting a magnet on one side of a door and a metal sheet on the other. Moving the magnet up and down will move the metal up and down but the two items never touch. Only a rising and falling voltage is able to pass through the capacitor. Fig 10. This is a STAGE. on the input and output. Fig 10 has a capacitor on the input and output. This means the stage is separated from anything before it and anything after it as far as the DC voltages are concerned and the transistor will produce its own operating point via the base resistor and LOAD resistor. We have already explained that the value of the two resistors should be chosen so the voltage on the collector should be half-rail voltage and this is called the "idle" or "standing" or "quiescent" conditions. It is the condition when no signal is being processed. When the voltage on the collector is mid-rail, the transistor can be turned off a small amount and turned on a small amount and the voltage on the collector will fall and rise. (note the FALL and RISE). output waveforms Fig 11 shows a small waveform on the input and a large waveform on the output. The increase in size is due to the amplification of the transistor. A stage like this will have an amplification of about 70. This is called "Stage Gain" or "Amplification factor" and consists of two things. The output voltage will be higher than the input voltage and the output current will be higher than the input current. We will discuss the increase in current and voltage in a moment. We need to ask: Why is the gain of the stage only 70, when a transistor with a gain of 200 is used? The reason is due to the base-bias resistor. It is acting as a feedback resistor and is acting AGAINST the incoming signal. For example, if the incoming signal is rising, the collector voltage will drop and this will be passed through the base-bias resistor to deliver less current to the base. This is opposing the current being delivered via the signal and that's why it is called NEGATIVE EFFECT or NEGATIVE FEEDBACK. Thus the transistor cannot produce the output amplitude you are expecting. Fig 11b. Fixed Base Bias Fig 11a and 11b shows a Common Emitter stage with fixed base-bias. This stage produces the maximum voltage amplification but it is very difficult to "set-up" because the value of the base resistor will either make the collector voltage nearly zero or full rail voltage. It is very difficult to get the collector to sit at mid rail. If the base resistor is a high value, the collector will sit at rail voltage. If the base resistor is a low value, the collector will sit a 0v. If a transistor with a different gain is fitted, the collector voltage will change completely. If it sits at mid-rail, the noise produced by the transistor will make the collector voltage rise and fall and produce a lot of noise. It all revolves around the actual gain of the transistor and this requires a TRANSISTOR TESTER to determine the gain. However, this circuit can be used as an output stage and has some advantages. It is a "Class-C" stage and means it is just at the point of being turned on via the base-bias resistor. It consumes the least current when "sitting around" and is the most efficient stage. Energy from a previous stage provides base current via the coupling capacitor and the base-bias resistor assists too. The output waveform will be distorted at the top or bottom, depending on the biasing and an inductor in the collector can reduce the distortion. See the article on FM Bugs (SPY BUGS) for a Class-C output stage. Unless you get the biasing correct, do not use this type of stage as a general-purpose amplifier. If the transistor is saturated (the base resistor is too low) the output will consist of only the positive portions of the waveform and will be a lot smaller than a self-biased stage. Fig 12. Fig 12 shows the signal (the voltage waveform) as it passes through 2 stages. Note the loss in amplitude as the signal passes through capacitor C2. 1. direct coupling - also called DC coupling (not the coupling shown in fig 12. Fig 12 is AC coupling). DC stands for Direct Current. I know this sounds unusual, but it is the way to explain the circuit will pass (amplify) DC voltages. This type of coupling will pass both AC signals and DC voltages. When the DC voltage moves up and down (even at a slow rate) we call it an AC voltage or AC signal or a rising and falling voltage and when it rises and falls faster, we call it a "signal" or waveform. 2. via a capacitor - this is also called RC coupling (Resistor-Capacitor coupling) - only passes AC signals - fluctuating signals - rising and falling signals. 3. via a transformer - called Transformer Coupling or Impedance Coupling or Impedance Matching - only passes AC signals. Fig 12 shows two stages with a capacitor coupling the output of the first to the input of the second. This is called Capacitor Coupling or Resistor-Capacitor Coupling (RC Coupling). The increase in the size of the waveform at three points in the circuit is also shown. The waveform is inverted as it passes through each transistor and this simply means a rising voltage will appear as a falling voltage and after two inversions, the output is in-phase with the input. We have already explained the fact that a capacitor only works once and has to be discharged before it works again. When the first transistor turns off a little, the voltage on the collector rises and the resistor pulls the left lead of C2 UP. The right-hand lead can only rise to 0.7v as the base-emitter voltage does not rise above 0.7v. This means C2 charges and during its charging, it delivers current to the second transistor. When the first transistor turns ON, the collector voltage drops and C2 passes this voltage-drop to the base of the second transistor. But the transistor does not provide a path to discharge the capacitor fully so that when the capacitor gets charged again, it is already partially charged and it cannot activate the base of the second transistor to the same extent as the first cycle. This means a lot of the energy available at the collector of the first transistor is not delivered to the second stage. That's why capacitors produce losses between stages. They are simply an inefficient way to transfer energy. To make them efficient, they must be discharged fully during the "discharge-part" of the cycle. 70 x 70 for the two stages. The value of C2 will be from 10n to 10u, and the larger capacitance will allow low frequencies to be passed from one stage to the other. Fig 13 provides a guide to the values of current that will be flowing at 3 important sections of the circuit. The input current to operate the first transistor will be about 3uA. This is worked out on the basis of the current required to saturate the transistor with a 22k load. 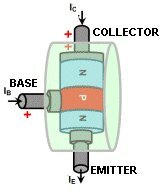 The collector-emitter current equals 5/22,000 = 200uA. If the gain of the transistor is 70, the input current is 3uA. The only time when energy passes from the first stage to the second is when transistor turns OFF. The collector voltage rises and the 22k pull the 100n HIGH. The maximum current that can be delivered by the 22k is 5v/22,000= 200uA. This is the absolute maximum for a very small portion of the cycle. However it is important to realise it is not the transistor that passes the current to the next stage but the load resistor. The gain of the second stage is not the deciding factor for the output current but the value of the 2k2 load resistor. This resistor will deliver a maximum of 2,000uA (2mA) and that is how a 3uA requirement at the input of the circuit will deliver 2mA at the output. You can see it is not the gain of the transistors that produce the output current but the value of the load resistors. The transistors play a part but the limiting factor is the load resistors (and the transfer of energy via the capacitor). This is not always the case but applies in the above circuit. We will now explain an emitter-follower stage and show how it works. An EMITTER-FOLLOWER is an NPN transistor with the collector connected to the positive rail. (You can also get PNP EMITTER-FOLLOWER stages - see below). Both can be called a COMMON COLLECTOR stage. The names are the SAME Fig 14 shows an Emitter-Follower. The load is in the emitter and as the base is taken higher, the emitter follows. But the input and output voltage signals are the SAME amplitude! You would ask: "What is the advantage of this?" Answer: You only need a small amount of "lifting power" to raise the base and the emitter rises with 100 times more strength. The voltage waveform stays the same but the CURRENT waveform increases 100 times. The voltage on the emitter is always 0.7v lower than the base and the base can be as low as 0.8v and as high as 0.5v less than the supply voltage. This gives the possibilities of producing an enormous "swing." In the common-emitter stage the transistor is only active when the base rises from 0.55v to about 0.7v but in the Emitter-Follower stage it rises from 0.8v to nearly rail voltage. This means the stage does not produce a higher output voltage but it does produce a higher output CURRENT. We mentioned before the current amplification of a stage was not dependent on the transistor characteristics but the value of the load resistor. In an Emitter-Follower stage we can quite easily get a current gain of 100 or more. Why do we want "Current Gain?" We need current to drive a low resistance load such as a speaker. Fig 15. A transistor driving a speaker Fig 15 shows an 8 ohm speaker as the load in the emitter. If the gain of the transistor is 100, the 8R speaker becomes 8x100 = 800 ohms on the base lead. In other words we see the circuit as "800 ohms." See this link for the answer to a constructor. He wanted to increase the output from his mobile handset. 1. For an emitter-follower circuit, we know the base can rise and fall by an amount equal to about rail voltage. 2. For a common-emitter stage the collector rises and falls by an amount equal to rail voltage. So, why not connect the two stages together without a capacitor? We know a capacitor has considerable losses in transferring energy from one stage to another and removing it will improve the transfer of energy. Fig 16. We now have two stages directly connected together. The first transistor does not deliver energy to the second stage but the LOAD RESISTOR does. The value of the load resistor pulls the base of the second transistor UP and this delivers current to the second transistor and the transistor amplifies this 100 times to drive the speaker. Fig 17. The load resistor and the effective load of the speaker Fig 17. Using mathematics we can work out the effective load of the 8 ohm speaker as 8 x 100 = 800 ohms. To put at least half rail voltage into the speaker, (so the speaker can get the maximum higher voltage and the maximum lower voltage without distorting) the LOAD resistor has to be the same value as the "emitter follower." This is a simple voltage-divider calculation where two equal value resistors produce a voltage of 50% at their mid-point. This means the LOAD resistor for the first stage has to be 800 ohms. is 800 ohms Fig 18 shows the circuit with 800R load resistor in the collector of the first transistor. The final requirement is to select a base-bias resistor for the first stage to produce approx mid-rail voltage on the collector. This is generally done by experimentation. Most of the speakers used in transistor radios have an impedance (resistance ) of 8R for the VOICE COIL. This has been chosen because it is very easy and cheap to produce. The wire in the coil is also quite thick and robust. But it is interesting to note that speakers with a high resistance voice coil will produce an equal volume and require less driving current. This applies to 33R speakers as well as 50R speakers. Moving the cone requires a certain amount of flux and this can be produced by a small number of turns and a high current or a large number of turns and a low current. The flux is a product of turns x current and this is called AMP-TURNS. In other words, AMPS x TURNS. If you find a 33R or 50R speaker in a kit, you will know it will perform just as loud as an 8R speaker. We mentioned the capacitor separating two stages cannot be discharged fully and thus it does not provide very good transfer of energy from one stage to the other. An improved concept is to directly couple two stages - and remove the coupling capacitor. This is called DIRECT COUPLING or DC coupling and the circuit will process DC voltages (the press of your finger as shown above) and AC voltages (as shown by the sine-wave signal shown above). When a capacitor connects two stages they will only amplify AC signals. There are many ways to directly connect two transistors and we will cover the simplest arrangement. It is an extension of Fig 18 above, because this arrangement has very good characteristics as the two stages transfer 100% of the energy due to the absence of a capacitor. Fig 19. Fig 19 shows the previous directly-coupled circuit with a load resistor replacing the speaker. We have already learnt the common-emitter stage provides a voltage gain of about 70 but the emitter-follower stage has a voltage gain of only 1. We can improve this by putting two resistors on the second transistor and changing the stage into a common emitter arrangement. Fig 20. Fig 20. This time we get the advantage of the base being able to move up and down so it matches the collector of the first transistor. It also provides a higher voltage gain by adding a collector resistor and taking the output from the collector. The voltage gain of the second transistor will not be as high as the first stage but we have added the advantage of direct coupling (called DC coupling). The voltage gain of the second stage is the ratio of resistor A divided by resistor B. If resistor A is 10k and resistor B is 1k, the voltage gain is 10,000/1,000 = 10. Fig 21. Fig 21 shows biasing of the first transistor has been taken from the emitter of the second transistor. This does not save any components but introduces a new term: FEEDBACK (actually NEGATIVE FEEDBACK). Negative feedback provides stability to a circuit. Transistors have a very wide range of values (called parameters) such as gain and when two transistors are placed in a circuit, the gain of each transistor can produce an enormous final result when the two values are multiplied together. To control this we can directly couple two transistors and take the output of the second to the input of the first. Fig 22. Fig 22. When the voltage on the base of the first transistor rises, the voltage on the collector drops and this is transferred to the second transistor. The voltage on the emitter of the second transistor drops and this is fed back to the base of the first transistor to oppose the rise. Obviously this arrangement will not work as the voltage being fed back is HIGHER than the signal we are inputting, but if we add a 220k resistor we can force against the feedback signal and produce an output. Fig 23. Fig 23. We have added a capacitor (electrolytic) to the emitter of the second transistor. Let's explain how this electrolytic works. An electrolytic is like a miniature rechargeable battery. It charges very slowly because it is a large value. This is how the two transistors settle, with the voltages shown in Fig 23. The electrolytic has 0.7v on it and when a signal is delivered to the base of the first transistor, it is amplified and passed to the emitter of the second transistor. Normally the emitter would rise and fall as explained in the above circuits and the result would be heard in the speaker. But the electrolytic takes a long time to charge (and discharge) and it resists the rise and fall of the signal. This means the signal cannot rise and fall at the emitter. In other words we have placed the second transistor in a stage very similar to the first stage we described a COMMON EMITTER. Since the emitter voltage does not rise and fall, it does not pass a signal through the 220k to the base of the first transistor. This means our input signal is not fighting against the feedback signal and it has a larger effect on controlling the first transistor. This gives the first transistor a bigger gain. A common emitter stage has a voltage gain of about 70-100 and we now have one of the best designs. Two common-emitter stages, directly-coupled (DC) and with very HIGH GAIN. The feedback only controls the DC voltages on the two transistors and does not have an effect on the AC (signals). Fig 24a is the best circuit you can get for amplifying a signal. The two transistors are biased via the 470k feedback resistor so they are turned ON and ready to amplify the signal. There is no capacitor between the two transistors so the overall gain is very high. Fig 24 shows typical values for biasing the two transistors. Fig 24a - the best circuit you can get. This circuit is also called a WIDEBAND AMPLIFIER because it will amplify all frequencies. Fig 25. Fig 25. The two joined transistors create a Darlington transistor and this is just a normal transistor with a large gain. The 330R discharges the 100u and it will only discharge it a very small amount. This means the electro can only be charged a very small amount during the next cycle and the output will be very weak. It is the 330R that determines how much (little) energy gets delivered to the speaker. The 330R has to be 15R to nearly fully discharge the 100u. Fig 26. Fig 26. You can work out the voltage on the various points in this circuit by referring to the examples we have already covered. Fig 27. Fig 27. This is a practical example of the circuit we have discussed. It is a MICROPHONE AMPLIFIER (also called a pre-amplifier stage). Fig 27a. Fig 27a. Here is the same circuit used as a POWER AMPLIFIER. Both transistors are common-emitter configurations and the circuit produces high gain due to the DC (direct) coupling. Fig 27b. Fig 27b. You can create a circuit with a FIXED GAIN by selecting values for the gain of each stage. This is calculated by dividing the collector resistor by the the emitter resistor. For the first stage, the gain is 22,000/220 = 100. The gain of the second stage is 10,000/470 = 20. The gain for the two stages is 100 x 20 = 2,000. See Stage Gain for more details. Before we go too much further, we need to talk about the POWER OF A SIGNAL. A Signal is a voltage produced by a microphone, an inductor, or the output from a previous stage. It may be the signal for the "input" of the amplifier in Fig 27a above, or it may be the resistance of your finger in the circuits above, or it may be the signal from a single stage shown above (as a sinewave). A signal may be an audio waveform with a very small amplitude or a DC voltage from a switch or a digital signal from a chip or the output from one of the stages shown above. In all these instances we have described the amplitude of a signal. The amplitude is the VOLTAGE of the signal. But a signal consists of a VOLTAGE and comes with a value of CURRENT. This current may be very small (such as from an electret microphone) or it may be very high (such as from a switch). In most cases we do not talk about the value of current associated with the signal. Mainly because it is a very complex problem, matching-up the "current-capability" of the signal with the "current requirement" of the following stage. At this point we will simply say that ALL signals come with a VALUE OF CURRENT. And this is called "The Power of a SIGNAL." In other words: The STRENGTH of a Signal" or the "Driving capability of a signal. We can also say a signal is "very weak" or "delicate" or "strong" or "has good driving capability." Some signals will drive a LED or speaker while others need to be amplified before they can be used. In most cases the "driving power of a signal" is unknown. It is not provided as a specification. And yet its value is MOST IMPORTANT. In most cases you cannot work out the current-capability of a signal by looking at the device generating the signal. For instance, if the signal comes from a magnetic pick-up coil, or the output of a pre-amplifier where the circuit is not provided. That's why the matching of a signal to an input circuit is so complex and is a topic for an advanced section of a discussion. In the meantime we will assume the signal and the input of the stage it is driving, has the appropriate input impedance so the signal is not attenuated (reduced) too much. If a signal has a high current it can be connected to a high or low impedance input and the amplitude will not be affected. If a signal with very little current is connected to the input of an amplifier and the input has a low impedance, the amplitude of the signal will be reduced. That's why the input needs to be as high as possible. Maximum POWER is delivered from one stage to the next when the impedance of the source matches the impedance of the load. Maximum VOLTAGE is delivered from one stage to the next when the impedance of the source is LOW and the impedance of the load is HIGH. A PNP transistor can be used in the 2-Transistor DC amplifier studied above. It does not produce a higher gain or change the output features of the circuit in any way but you may see an NPN and PNP used in this configuration and need to know how they work. Firstly we will discus how a PNP transistor works. All those things you learnt in the first set of diagrams can be repeated with a PNP transistor. The circuits are just a mirror-image of each other and the transistor is simply "turned-over" and connected to the supply rail. Study the following circuits to understand how a PNP transistor is TURNED ON. Fig 28. PNP Transistor Symbol Fig 28. The symbol for a PNP transistor has the arrow pointing towards the BASE. You will notice the transistor is drawn with the emitter-lead at the top of the page as this is how it will be connected in a circuit. The emitter is generally connected to the positive rail and the arrow shows the direction of the current. You MUST refer to a data sheet for the actual pin connections. Fig 29. PNP "Water Valve" Fig 29 shows the equivalent of a PNP transistor as a water valve. As more current (water) is released from the base, more water flows from the emitter to the collector. When no water exits the base, no water flows through the emitter-collector. Fig 30. PNP connected to the power rails Fig 30 shows a PNP transistor with the emitter lead connected to the power rail. The collector connects to a resistor called a LOAD RESISTOR and the other end connects to the 0v rail or "earth" or "ground." The input is the base and the output is the collector. biased with a "base bias" resistor and a LOAD resistor Fig 31 shows a PNP transistor in SELF BIAS mode. This is called a COMMON EMITTER stage and the resistance of the BASE BIAS RESISTOR is selected so the voltage on the collector is half-rail voltage. In this case it is 2.5v. Here's how you do it. Use 22k as the load resistance. The base bias resistor allows a small current to pass from the emitter to the base and this makes the transistor turn on and create a current-flow though the emitter-collector leads. This causes the same current to flow through the load resistor and a voltage-drop is created across this resistor. This raises the voltage on the collector. This causes a lower current to flow from the emitter to the base, via the base-bias resistor, and the transistor stops turning on a slight amount. The transistor very quickly settles down to allowing a certain current to flow through the emitter-collector and produces a voltage at the collector that is just sufficient to allow the right amount of current to flow from the base. That's why it is called SELF BIAS. Fig 32. Turning ON an PNP transistor Fig 32 shows the transistor being turned on via a finger. Press hard on the two wires and the LED will illuminate brighter. As you press harder, the resistance of your finger decreases. This allows more current to flow from the emitter to the base and the transistor turns on harder. Fig 33. Two transistors turning ON Fig 33 shows a second transistor to "amplify the effect of your finger" and the LED illuminates about 100 times brighter. Fig 35. Adding a capacitor to the output Fig 35 shows the effect of putting a capacitor on the output. It must be uncharged for this effect to work. We know from Fig 33 that the circuit will stay on constantly when the wires are touched but when a capacitor is placed in the OUTPUT, it gets charged when the circuit turns ON and only allows the LED to flash. A 2-Transistor DC amplifier can be constructed using an NPN and PNP set of transistors. Fig 36. Fig 36 shows how an NPN-PNP set of transistor is turned on. You can think of the "turning ON" this way: The base of the NPN get "Pulled UP" and the base of the PNP gets "Pulled DOWN." It does not matter how you refer to the operation of the circuit, you must be able to "SEE" how the circuit works so you can see a more-complex circuit working too! Fig 37. Fig 37 shows biasing on the base of the first transistor and the "in" and "out" leads have been identified. This circuit has a very high gain and if "general purpose" transistors are used with a very high spread of gain for each transistor, the result will be a very wide range of voltages on the output terminal. If each transistor has a gain of 100, a change of 1mV on the input will result is a voltage change of 0.001 x 100 x 100 = 10v. We don't have a 10v supply so, this type of circuit is very UNSTABLE! We need to design a circuit that has FEEDBACK so the output voltage will remain within the voltage of the supply. This feedback is called NEGATIVE FEEDBACK as it opposes an input signal to provide correction or stability. Later we will talk about POSITIVE FEEDBACK and show what an amazing difference it creates - the circuit behaves totally differently. Fig 38. This circuit does not work Fig 38 will not work because the base of the NPN transistor is not turned on when the circuit is switched on. This is one of the things you have to look for when designing a circuit. Fig 39. The voltages Fig 39 has a voltage-divider network on the base of the NPN transistor. It turns the first transistor ON and this turns the PNP transistor ON until the voltage at the join of the 3k3 and 1k puts a voltage on the emitter of the first transistor to start turning it OFF. This is a point we have to explain. There are two ways to turn ON an NPN transistor. 1. Hold the emitter fixed and RAISE the base voltage. 2. Hold the base fixed and LOWER the emitter voltage. In Fig 39 the base is weakly fixed by the voltage divider made up of the 1M and 220k and even though the base can move up and down a little bit, we will assume the voltage is constant. If we raise the emitter voltage, the transistor will be turned off. This is what the FEEDBACK voltage via the 3k3 does. It raises the emitter voltage and turns the NPN transistor OFF slightly so an equilibrium point is reached where the two transistors are turned on a small amount and if one gets turned on a little more, the other sends signal to turn it OFF. This is not a practical circuit as an increase of 1mV on the input will produce a large change on the output and this will be reflected back to the emitter of the first transistor to cancel the input voltage. Fig 40. A practical example Fig 40. By changing the value of the feedback resistors we get Fig 40. The values are now 10k and 100R. This gives a ratio of 10,000:100 or 100:1 and it means the output can rise 100mV before the emitter gets 1mv to cancel the input voltage. This means the amplifier will have a gain less than 100 but provides a very stable set of voltages. Fig 40a. Here is an amplifier with the same DC biasing as Fig 40 but with a lower overall gain (2,200:100 or 22:1) and high-frequency feedback (attenuation) via the 2n2 capacitor. There are thousands of different types of transistor(s) on the market because in the early days of producing a transistor, the manufacturer could not a make a batch with all the same characteristics. So they sorted them after manufacture. The two main things that varied was the voltage that could be placed across the collector-emitter leads of the transistor before it started to leak (pass current) or before it stared to zener (pass a lot of current) And the other feature was the gain of the transistor. It is the amplification-capability of the transistor and is basically the amount of current entering the base of the transistor (the current you deliver to the base) compared to the current flowing through the collector-emitter leads (this is called the LOAD current as this current will also pass through the load). If you are using a supply up to about 20v, almost any transistor can be used and the only decision is the GAIN of the transistor. Almost every small signal transistor has a gain over 100 and and although you can get a transistor with a gain of 200, 300 or 400, these transistors will produce almost the same result when they are placed in a circuit. You may get slightly better performance with a high gain transistor, but don't be surprised if the outcome is hardly detectable. That's why you should use a transistor from the mid-range and not design a circuit with the expectations of always using a high-gain transistor. Power transistors have a gain (CURRENT GAIN) as low as 10 to 70 and one transistor from a batch may be 25 and another 55. That's why you need to try a few transistors and see if a poor-quality device still works in the circuit you have designed. The gain figure in the data-sheet is quite often determined when the collector current is 1mA or 10mA and when it passes say 100mA, the gain will be a lot less. You cannot build a circuit and multiply the gains of the transistors from the data-sheet to get a result. The gain of the transistor in a data-sheet is determined under IDEAL conditions with DC voltages. When you put this transistor in an audio circuit (for example) the gain is completely different. This time it is not the high current flowing but due to the surrounding components determining how the transistor is biased. Some of these components stabilize the operating conditions for the transistor and to do this they create feedback within the stage and this feedback reduces the gain enormously. The end result is a 100, 200, 300, 400 gain transistor will produce the same 70 times gain for the stage. Of course this is all generalisation, but it lets you know why the end result is almost the same with any transistor, (although you have tried transistors with widely varying characteristics). The capacitor is a very complex item to discuss because it performs with so many different effects, depending on its value and where it is placed in a circuit. However one of the most important concepts is to see that a signal on the left side will pass through the capacitor and appear on the other side with about the same amplitude, if the signal is fast-acting. In other words: high-frequency. This is shown in the first animation where the movement of the first person is transferred directly to the second person. If the signal has a low-frequency, is will get charged and discharged during the cycle and the amplitude on the output will be small. This is shown in the second animation where the capacitor is charging and discharging and the second person is seeing a small effect. The circuit shows a Schmitt Trigger arrangement. This is covered HERE. The Schmitt Trigger is FAST ACTING and this means the signal on the left-plate of the capacitor will be delivered to the output of the circuit. 3. The load on the right-plate of the capacitor. At the moment we just need to VISUALISE the way the capacitor will work. The capacitor sending (transferring) a PULSE to the DIGITAL GATE. This is a VERY IMPORTANT concept. The capacitor in the diagram is transferring the "drop in voltage" on the left-plate to the right-plate. The voltage on the input to the DIGITAL NAND GATE is initially rail voltage and it must drop to less than 30% of rail voltage for the gate to see a LOW. The value of the capacitor is chosen so this will occur. When the voltage on the left-plate drops, the capacitor will begin to charge via the 1M resistor and the circuit-designer must make sure the charging of the capacitor will be very small during the time when the voltage drops so the right-plate will send a 30% rail voltage to the gate. If the value of the capacitor is too small, it will get charged very quickly and the right-plate will only drop a small percentage of rail-voltage. 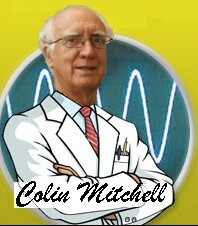 The voltage on each line (connection) of a circuit can be measured with a multimeter. To help you take (make) a reading, we have written an eBook titled: Testing Electronic Components. There is a certain amount of skill required to take a reading and this eBook will help you enormously. If we remove some of the components from Fig 39 and put a LED on the emitter of the PNP transistor we have a circuit that will illuminate the LED. We have already talked about FEEDBACK in terns of NEGATIVE FEEDBACK to stabilize a circuit. We will now cover a new term called POSITIVE FEEDBACK - it changes the performance of circuit completely. It makes the circuit OSCILLATE. Negative feedback "kills" a circuits performance - positive feedback makes it oscillate. It increases the signal so much that the circuit becomes unstable. This is called oscillation. Fig 41. Fig 41 shows a circuit using an NPN and PNP connected via a 1k resistor and turned ON via a 330k base resistor. There is nothing magic about this circuit. It is simply a HIGH-GAIN, DC-AMPLIFIER using two transistors. The values of current are only approximate and show how each section allows an increasing amount of current to flow. A current of 100mA is too high for a LED and it will be damaged. This circuit demonstrates the possible current-flow. If this current flows for a very short period of time, the LED will not be damaged. Fig 42 shows how the circuit is converted to an oscillator or "flasher." Fig 42. Fig 42. When we connect a capacitor as shown, an amazing thing happens. The high-gain amplifier turns into an OSCILLATOR. When the voltage on point "X" is rising, the voltage on point "Y" is rising TOO. But point "Y" rises much higher than point "X." This means that if we DIRECTLY join points X and Y, the voltage-rise from point Y will push point X higher and turn the circuit ON more. This will continue until the circuit is fully turned ON and the two transistors are SATURATED. This effect is called POSITIVE FEEDBACK and the circuit will get turned ON until it cannot turn on any more. But we haven't joined points "X" and "Y" DIRECTLY (we have used a capacitor) so we have to start again and explain how the circuit works. When the power is applied, the 10u gradually charges and allows a voltage to develop on the base of the NPN transistor. When the voltage reaches 0.6v, the transistor turns ON and this turns on the PNP transistor. The voltage on the collector of the PNP transistor increases and this raises the right side of the 10u electrolytic and it firstly pushes its charge into the base of the NPN transistor. Then the 330k takes over then it continues to charge in the opposite direction via the base-emitter junction of the NPN transistor. This causes the two transistors to turn ON more. This keeps happening until both transistors cannot turn ON any more and the 10u keeps charging. But as it continues to charge, the charging current eventually drops slightly and this turns off the first transistor slightly. This gets passed to the PNP transistor and it also turns off slightly. This instantly lowers both leads of the 10u and both transistors turn OFF. The 10u is partially charged and it gets discharged over a long period of time by the 330k resistor and when it starts to charge in the opposite direction, the base of the first transistor sees 0.6v and the cycle starts again. The end result is a very brief flash and a very long pause (while the capacitor starts to charge again). As you can see, there is very little difference between the high-gain DC amplifier we discussed above and the oscillator circuit just described. That's why you have to be very careful when looking at a circuit, to make sure you are identifying it correctly. I like to apply a name to a circuit or process. It provides a point of discussion. The latest example is JOULE THIEF. All those circuits using a single cell to illuminate a 3.4v white LED have been classified by this name. And it has been a huge success. Everyone knows what you are talking about. The circuit above has a feature: "self-turning-on" where the circuit provides a very strong self-capability to turn itself ON harder and harder. Regeneration was used in the early days of radio receivers when valves had a low value of amplification. A small amount of the output of the valve was taken to the grid (input) and this was passed through the valve again. This feedback signal had to be controlled to prevent self-oscillation (that completely drowned out the radio signal). The circuit uses regeneration to completely turn ON the LED. If is were a radio, the output would be completely distorted,. But that's the difference between audio and digital. The 10u provides a much-higher base current into the NPN transistor than supplied by the 330k and this guarantees the LED will flash very brightly. But it is important to realise the 10u not only provides the flash-rate of the circuit but the very bright flash. Now: the act of regeneration: The 330k turns ON the NPN transistor very slightly. This turns ON the PNP transistor 100 times harder. But the 22R in the collector is a very low resistance and the current though it (at the moment) produces a very small voltage. However this voltage is passed to the base of the NPN transistor via the 10u to turn it on slightly more. At this point in the cycle, you can consider the 10u to be a very small rechargeable battery and if the right lead is raised a few millivolts, the left lead will rise about the same amount. The 10u now provides current into the base of the NPN transistor to turn it on. As the two transistors turn ON more and more, the right lead of the 10u rises and when it is higher than 0.65v, the 10u starts to charge via current flowing through the base-emitter junction of the NPN transistors. It is this current that turns the NPN transistor ON more and the resistance of the collector-emitter circuit becomes very small. This allows a high current to flow in the emitter-base leads of the PNP transistor as the only resistor limiting the current is 1k. Between nearly 3mA and 6mA will flow, depending on the supply voltage and if the transistor has a gain of 50, the collector current has the possibility to the 50 x 6 = 300mA. This amount of current will not be flowing because the LED has a characteristic voltage 3.4v and this value must be subtracted from the supply voltage to get some idea of the maximum current that will be flowing. However, the creation of a high current pulse is due to the 10u. Fig 43. Fig 43 is the same circuit with the components re-arranged. It is a high-frequency oscillator with an inductor as the load and when the circuit turns off, the inductor produces a high voltage in the opposite direction to the supply voltage and this is high enough to illuminate a LED. The LED will not illuminate on the 1.5v supply so when the LED illuminates, you know the circuit is working. Fig 44. Fig 44 is the same arrangement of the two transistors we have just studied, but with a third transistor above the two. That's what the two transistors in the output are doing. The top transistor charges the electrolytic and the bottom transistor discharges it. In the process, the charging and discharging current flows through the speaker to produce audio. We have already studied the two lower transistors. The BC327 turns ON and allows current to pass through the emitter-collector leads and this discharges the electrolytic. The top transistor is an emitter-follower and it turns ON when the bottom two transistors are effectively "out of circuit." The base is pulled to the supply rail by the 1k and the emitter follows. In other words the collector-emitter leads allow current to flow and this charges the electrolytic. The charging current flows through the speaker. We have seen the need to provide current into and out of a speaker to move the cone. This is because current produces magnetic flux and many items work on magnetic flux, such as: motors, relays and speakers. And some items need a lot of current to be activated - especially globes. Most transistors will provide a CURRENT GAIN of 100 when up to 25% of their rated current flows, but only a gain of 50 for the next 25% increase in current and a gain of 30 for the next 25% increase in current and a gain of only about 10 when the maximum allowable current flows. That's why you have to understand transistor data-sheets. The gain of a transistor is very low when maximum current flows. There is a hidden factor with motors and globes. They take 6 TIMES more current for a globe to start glowing or to start a motor revolving. This is because the resistance of a cold globe is only one sixth of its glowing resistance and a motor has a very low resistance until the back emf (electro-motive force - another name for voltage) produced by the armature, reduces the current-flow. This means you have to design a circuit that will deliver up to 6 times the operating current, so these items will turn on. We explained the 800R LOAD resistor provides the turn-on current for the speaker in the following circuit. When the BC547 turns off, the current through the 800R is amplified by the emitter-follower transistor to drive the speaker. This is a very wasteful way of operating a circuit as current is always flowing through the 800R and during part of the cycle, this current is not achieving any result. We can design a circuit where this current is provided by a transistor. This is important when we are providing high currents as a transistor can be turned on to deliver the current and turned off when the current is not required,. This saves energy and prevents over-heating. We will look at the following 2-Transistor DC amplifier driving a speaker (taken from Fig 18) and modify the circuit. Fig 45. An emitter-follower driving a speaker Fig 45. The EMITTER FOLLOWER drives a speaker. There are three uses for an amplifier. 2. To increase the current. 3. To increase both the voltage and current. Since a common collector configuration does not increase the voltage of the signal, we have to talk about the feature or quality it will provide. The only thing it does is increase the current. So we call it a CURRENT AMPLIFIER. It just happens to have a large input impedance due to the way the transistor is connected and the gain of the transistor increases the input impedance by a factor equal to the amplification of the transistor. When a load is placed between the emitter and 0v rail, the transistor increases the impedance or resistance of the load by a factor of about 100 to 200, depending on the gain of the transistor. This means the input of the stage has a very high impedance and when you connect a signal to the input, the amplitude of the signal will not be reduced (attenuated) or it will be attenuated a very small amount. The statement: very high impedance needs clarification. If the load is say 8R, the input will be a lot higher than 8R but in relative terms the input will still be LOW IMPEDANCE. We should say: much HIGHER impedance. This means the stage has the effect of "changing the load" by a factor of 100 or 200 and the input signal thinks it is delivering to 800R (for instance). The transistor is converting or changing the load into a higher impedance or resistance. We call this feature MATCHING. You can also call it CONVERTING or INCREASING. Fig 46. Fig 46. We replace the speaker with a motor. Fig 47. Fig 47. We replace the LOAD resistor with a transistor and add a resistor called a: Current Limiting Resistor. It is designed to limit the current between the first and second transistors as these will turn ON and allow a very high current to flow if the resistor is not included. Fig 48. Fig 48. The current required by the motor is 300mA. The emitter-follower will have a gain of 10 and the gain of the other two transistors produces the set of conditions shown on the diagram. You can see very little input current is required to activate the motor when 3 transistors are used. Fig 49. Fig 49. The input current can be supplied from a voltage-divider using a pot (to adjust the setting) and a Light Dependent Resistor. We cannot use only 2 transistors as the LDR cannot supply 1mA under low-level light conditions and that's why 3 transistors are needed. Fig 50. Dancing Flower Fig 50. Here is a commercial version of a 3-transistor circuit. This circuit was taken from a dancing flower. A motor at the base of the flower has a bent shaft up the stem and when the microphone detects music, the shaft makes the flower wiggle and move. The circuit will respond to a whistle, music or noise. The circuit uses a different arrangement to our 3-transistor design and we will discuss the differences. It is very easy to get a change in voltage from an input device such as an LDR or electret microphone. Simply add a LOAD resistor and "tap off" the change in voltage at the join of the two components. There is also a very small change in CURRENT at the join of the two components (but we normally refer to the change in voltage). We can amplify this voltage via two transistors to get a voltage equal to rail voltage. This is not a problem for 2 transistors. But we also need to amplify the CURRENT to operate a motor. We cannot get enough CURRENT GAIN with 2 transistors and that's why we need 3 transistors. The change in voltage must be passed through 3 transistors to get the CURRENT GAIN required by a motor. Both circuits (Figs 49 and 50) appear to perform the same but you need to look at the voltage drop across the leads of the output transistors to see how the two circuits compare. The emitter-follower design (the first circuit) has a total voltage drop of 0.8v and the motor will see a maximum of 2.2v. The motor in the common-emitter design will see a maximum of 2.8v. You can see the advantages and disadvantage of each design. Because the	emitter-follower has a 0.6v drop between base and emitter, it is generally used in a PUSH-PULL arrangement as we will see in Fig 53, to charge and discharge the electrolytic or in an H-Bridge to drive a motor forward and reverse as shown in Fig 54. But when a common-emitter stage is used, the output voltage increases 0.6v. The EMITTER FOLLOWER stage can also be called a LINEAR AMPLIFIER as the output follows the input voltage EXACTLY except it is about 0.6v lower than the input. The output has about 100 times more current capability than the input and this gives it the name AMPLIFIER. See Emitter-Follower for circuits. A Linear Amplifier can amplify the current from a pot to create a very simple Motor Speed Controller or LED Illuminator: The actual result in increasing the speed of the motor or the brightness of the LED will not seem to be linear because they do not respond in a linear way to an increase in voltage. The pot also has to be linear to produce a linear output. Fig 52a. Push-Pull Output We have studied the emitter-follower in Figs 45 to 49. We have also shown how to connect a PNP transistor to the power rails. (It is basically a mirror-image of the NPN transistor.) Combining these facts we can produce a circuit consisting of two emitter-followers as shown in Fig 52a. The top emitter follower is an NPN transistor and the lower emitter-follower is a PNP transistor. The is called a PUSH PULL output stage or PUSH PULL AMPLIFIER or Complementary-Symmetry output stage. voltage will be 3.2v The Push-Pull stage can be connected to the output of a micro to get a higher DRIVE CURRENT, as shown in Fig 52aa. The Push-Pull stage does not increase the voltage - the voltage is slightly lower than the microcontroller supply voltage but the current will be increased by a factor of about 100 to 200. The output voltage is reduced by 0.6v due to the base-emitter voltage-drop plus the output of the micro is about 0.3v less than the supply rail. This occurs for both HIGH and LOW, making the output 0.3 + 0.6 + 0.3 + 0.6 = 1.8v less than the supply = 3.2v swing. The output voltage of the micro can be increased to 4.4v by placing the PNP transistor above the NPN transistor as shown in Fig 52ab. Both transistors will turn ON during the time when the micro is changing from HIGH to LOW but since this is very brief, (less than 1/10th microsecond) they will not be damaged. when micro output HIGH In the circuit above, the output of the micro cannot be turned off as one transistor will be active. The solution is to "AC couple" one of the transistors as shown in Fig 52ac and this will allow the micro to go HIGH and the output section will turn off. The 1u will have an impedance of about 200 ohms when the circuit is operating at 1kHz. Fig 52b. Push-Pull Current Dumping Fig 52b shows a very clever variation on the Push-Pull circuit described above. It uses a low-value resistor between the collector of the driver transistor and output. This resistor transfers the low-level signals directly to the speaker. As the signal-level increases, the output transistors come into operation. This arrangement removes cross-over distortion and uses less parts. It is called CURRENT DUMPING. Lifting the Input line will raise the output line and it will have "100 times more strength." Lowering the input line will make the output line go down with "100 times more strength." In other words this circuit turns a "weak line into a strong line." Fig 54aa is a 3-Transistor Push-Pull amplifier. When the supply is turned on, current flows though the 8R speaker and through R4 to the base of T2. This pulls the base of T2 towards the 9v rail and the transistor rises to nearly the 9v rail. The voltage on the emitter of T2 is 0.6v lower than the base and this pulls the emitter of T3 towards the 9v rail. The base of T3 is 0.6v lower than the emitter. This is as far as we can go with the current-path at the moment and we now have to go to T1. The join of the two emitters has a voltage near the 9v rail and this voltage is passed to the base of T1 via the 82k resistor. The 82k resistor forms a voltage divider with 12k and the resulting voltage at their join is sufficient to put 0.6v on the base of T1. This turns ON T1 and the voltage between collector and emitter drops to a low value. The exact value will be shown in a moment. We can now go back to the base of T3 and continue the current-path (also called the voltage path) from the 9v rail to the 0v rail. T1 pulls the base of T3 towards the 0v rail. We now have three transistor that all turn on. They are not fully turned on but partially turn on. The exact amount of “turn-on” for each of the transistors is due to the 83k and 12k biasing components and diodes D1 and D2. Here’s how the DC coupled amplifier self-adjusts to a state called the QUIESCENT STATE. This is the state where some of the components adjust the “turn-on” of other components and the circuit reaches a point where the voltages settle down and reach a stable value and the current is a constant minimum value. The voltage at the midpoint of the two output transistors is fairly high and this creates a slightly higher voltage on the base of T1. This turns on T1 slightly more and the voltage on the collector drops. This lowers the voltage on the base of T3 and the emitter voltage drops. This lower voltage is passed to the base of T1 and the transistor turns OFF slightly. This is how the three transistors adjust themselves to a final value. The exact final voltage is called a DESIGN VOLTAGE and designer of the circuit want the voltage on the join of the two emitters to be half-rail-voltage. This allows the circuit to rise and fall and reproduce a waveform without clipping or cutting off the top or bottom of the wave. To get the circuit to sit with the output (the join of the two emitters) at 4.5v, the values of R2 and R3 have been selected. We now have the circuit sitting, ready to amplify a signal. The output stage is called PUSH PULL because one transistor pushes current through the winding of the speaker via the 100u electrolytic and the other transistor pulls current through the speaker via the electrolytic. You could connect the speaker directly to the output of the stage and remove the electrolytic. The circuit would work just the same. However if the speaker is connected directly, a voltage of 4.5v will be paced across the speaker and this voltage will cause a current to flow in the winding of the peaker (the voice coil) and the cone will be pulled in. If we try to reproduce a waveform, the cone is already partially pulled-in and it will not reproduce half of the waveform. In addition, this constant current will heat up the voice coil. By adding the 100u, we remove the Dc component of the output and only the AC (waveform) will be passed to the speaker. Now we have to understand how an electrolytic passes energy (current) to the speaker. If you connect an electrolytic and speaker directly to a supply, you will hear a “plop” This is the electrolytic charging and the charging current flows through the speaker and produces the noise. But after a very short time the electrolytic is charged and no ore current flows. Even if you remove the supply and connect it again, no sound will be reproduced because the electrolytic is already charged. The only way to hear another plop, is to remove the components and short between the power leads. When the supply is re-applied, you will hear another plop. To get sound from the circuit, this is what it has to do. Firstly it has to charge the electrolytic. Then it has to discharge the electrolytic. As you can see from the circuit, the lower transistor charges the electrolytic and the top output transistor discharges the electrolytic. Now we have to drive the two transistors so that they charge and discharge the electrolytic. To charge the electrolytic, T1 turns ON and pulls T3 towards the 0v rail. How do you pull T2 UP so that it discharges the electrolytic? This is how it is done. It is very clever. Connected between T2 and T3 are two diodes. Each if these diodes has a voltage drop of 0.6v. This voltage drop is exactly the same voltage as between the base and emitter of the two transistors in the output. This means we can directly pull on the base of the top transistor, just like we are directly pulling on the base of the lower output transistor. Now we have a situation where we can pull down on both transistors and this will turn ON the lower transistor and turn OFF the upper transistor. This is done when T1 turns ON. When T1 turns OFF, the top transistor is pulled HIGH via the 1k8. Fig 54ab. A High-current Driver stage - faulty design Fig 54ab shows an actual high-current driver stage of a 500 watt inverter, taken from the web. The designer of the circuit has tried to provide a high-current capability for the 2N6277 by driving its base via a 2N3055 and TIP122. Theoretically the base current for the TIP122 will be only a few milliamps as the gain of the Darlington transistor and 2N3055 will deliver a high base-current to the output transistor. However this circuit is a faulty design. For the 2N3055 to deliver current into the base of the 2N6277, it must have a collector voltage that is higher than the emitter. And for the TIP122 Darlington transistor, it must have a collector voltage that is higher than its emitter. The minimum collector-emitter voltage for a Darlington transistor is 2v. The base-emitter voltage for a 2N6277 is about 1.8v to 3.5v (use 2.1v) and for a 2N3055 it is about 0.7v. Fig 54ab-1. A High-current Driver stage - improved design This means the TIP122 can only turn on when the collector voltage is 0.7v + 2.1v + 2v = 4.8v. This means the collector of the 2N6277 cannot be less than 4.8v. This faulty design can be fixed by taking each of the transistors to the supply-rail via a suitable resistor. The collector-emitter saturation voltage for the 2N6277 is between 1v - 3v. This means the transformer sees a higher voltage. This improvement will make an enormous difference in the output capability of the circuit and reduce the heat generated in the output transistor(s). Fig 54ab-2. An ideal way to drive an inductor. When using a 2N6277 transistor on each leg of the output, the base must receive about 5 amps to fully saturate the transistor for 40 amp collector current. The circuit on the left is an ideal way to drive an inductor. The transistor will handle 40 amps to produce a 500 watt inverter. The voltage on the collector will be about 1.6v so that for a 12v supply, the inductor will see 12v - 1.6v = 10.4v. bad design. However when you drive an output transistor as shown in Fig 54ab-3, two problems arise. To deliver 5 amps to the base of the 2N6277, the TIP122 transistor has a saturation-voltage across its collector-emitter leads of about 4v. We will explain this in a moment. Firstly e have to go to the 2N6277 and cover the fact that the base-emitter voltage will be about 3v for a collector current of 40 amps. The TIP122 is now sitting 3v above the 0v rail and the collector must see a voltage of 7v so that it can deliver 5 amps to the base of the 2N6277. This means the collector of the 2N6277 cannot go below 7v. In other words we are losing 7v from the 12v supply and only 5v will be available for the inductor. This method of driving an output transistor is a very bad design. A slightly different push-pull output stage can be created with two NPN transistors. It is called a Totem Pole Output stage. Fig 55a. When the input is less than 1v, the output is pulled high via the 1k resistor and the "strength" of the "pull-up" will be 1,000/100 = approx 10 ohms. When the input reaches 1.4v, the output is pulled low via the lower transistor and will about 0.2v from the 0v rail. The "strength" of the "pull-down will be about equivalent to a 10 ohm resistor. This is about the same as the output driving capability of a normal Push-Pull arrangement, however there is a mid-point where both transistors are turned on at the same time and this produces a large current that can overheat the transistors or damage them. Fig 55b. The circuit Fig 55a above is used in many applications because it will drive the output HIGH and LOW. In other words a transistor will pull the output HIGH and the other transistor will pull it LOW. The output of many (most) integrated circuits will SINK (pull the output LOW) and SOURCE (pull the output HIGH). This is called PUSH-PULL or more-accurately: TOTEM-POLE output. When it is SINKING, current flows through the load (from the supply) and the output acts like a "switch" to connect the load to the 0v rail. When it is SOURCING, the output delivers the current to the LOAD and the load is connected to the 0v rail. But if the output can only SINK as shown in Fig 55b, it is called "OPEN COLLECTOR." This means a LOAD must be connected to the supply rail and the output will "switch" (connect) it to the 0v rail. You can have the situation where a device (such as a motor) is driven by two different circuits (two different transistors). This is called an OR situation and because either transistor will operate the motor. Because the connections are "wires" it is called a "wired-OR." The transistors are sinking the LOAD and you cannot get any "short-circuits" across the supply rail. In the diagram above (Fig55b) you can see the output wire (line) is connected to the collector of the transistor. When the transistor is OFF, it can be considered to the removed from the circuit and if you measure the resistance between the output line and either the supply rail or 0v rail, the resistance will be very high (infinite). This is called open collector. If we can create the same effect with Fig55a we can produce an output that will pull HIGH and LOW and also "switch-off" so the output goes HIGH IMPEDANCE. This effect is not possible with any of the circuits we have studied but is available with some IC's and many microcontrollers. How can we detect a TRI-STATE line? 1. Read the documentation that comes with the product or datasheet. 2. Put the project into a state of HIGH IMPEDANCE and place a 47k from the line to rail-voltage and another 47k from the line to 0v. Measure the voltage at the junction. It will be half-rail-voltage. consisting of 4 resistors Fig 56. We have already studied the purpose of Ra and Rb to produce a voltage on the base of the transistor. If they are the same value, the base voltage will be half the supply. We also know the emitter voltage will be 0.7v lower than the base. This will produce a current through Re and the same current will flow in Rc. We can now work out the voltages on the three leads of the transistor. But that's not the point of our discussion at the moment. We want to know how to work out the values of Ra, Rb, Rc and Re. There are two types of "bridges." 2. A medium or high-power signal bridge. A small-signal bridge deals with signals that do not have much input-current. We have already learnt the ability of a stage to pass a CURRENT from one stage to the next stage depends on the value of the LOAD resistor (for the common-emitter stages we have covered). If this current is very small, we do not want to attenuates it (reduce it) by making the input of our bridge stage LOW IMPEDANCE (low resistance). If the values of Ra and Rb are low, any signal being applied to this stage will be partially lost (reduced - attenuated) by the value of the voltage-divider. That's why the resistors have to be as high as possible. They are generally about 470k to 2M2. Suppose we make Ra = 1M and Rb = 470k. Fig 57. Biasing the BASE Fig 57. The base is biased at about 1/3 rail voltage. The emitter will be about 0.7v below the base voltage so the collector can produce a swing of about 50% of rail voltage. This is the normal way to bias this type of stage. Fig 57a. The emitter resistor provides NEGATIVE FEEDBACK Fig 57a. In the Bridge Circuit, 4 resistors bias the transistor and Re is the EMITTER RESISTOR. When the voltage on the base rises by 10mV, the transistor turns on more and the current through the collector LOAD resistor Rc increases and the same current flows through the emitter resistor Re. This causes a slightly higher voltage to appear across this resistor and the voltage on the emitter rises. We have already discussed how to turn ON a transistor or turn OFF a transistor and when the voltage on the emitter increases, the transistor is turned OFF slightly. This means the 10mV rise on the base may be offset by a 2mV rise on the emitter and the transistor will not be turned on as much. This is the effect of NEGATIVE FEEDBACK. The collector resistor can be from 100R to 1M and the emitter resistor can be from 100R to 1M. When the two resistors are the SAME VALUE the stage will have a gain of ONE. Fig 58. A stage-gain of 46 If Rc=22k and Re=470R the gain is 46. It does not matter if the transistor has a gain of 200 - the stage is limited to a gain of 46. The actual DC voltage on the leads of the transistor depends on the quality of the transistor (its gain) and we will not be concerned with these values as the stage will have a capacitor on the input and output and it will be biased by the 4 resistors. Fig 58. shows a stage with Rc=22k and Re=470R, producing a stage-gain of 46. The actual voltage on the collector will depend on the gain of the transistor. Fig 59. A stage-gain of 100 Fig 59. If we use the values: Rc=22k and Re=220R the gain will be 100. 200 or more Fig 60. If we add an electrolytic across the emitter resistor, the emitter will not move up and down when a signal is processed and this makes the transistor similar to a common-emitter stage. The transistor will now have a stage-gain similar to its specification. It may be 200. The gain of the stage will also depend on the frequency. It will have a higher gain with high frequencies as the capacitive-reactance (resistance) of the 10u will be lower at high frequency. However the capacitor on the input will produce losses from one stage to the other and the capacitor on the output will reduce the gain of this stage. That's why it is very difficult to specify the gain of this and any other stage. In most cases you can count on a gain of 50 to 70 when a stage is incorporated in a multi-stage design. Fig 61. A medium-power bridge circuit Fig 61. When we add the electrolytic, the gain of the stage is not dependent on the values of Rc and Re, and we can reduce the value Rc (the resistor on the collector) so the stage will pass a higher current to the following stage. This stage is called a medium-signal stage. The stage will also have a higher gain at high frequencies. The electrolytic is called a BY-PASS capacitor because any signal that appears on the emitter is passed (sent) to the 0v rail. This capacitor can also be called a SHUNT capacitor as it "shunts" (sends) the signal to the 0v rail. In other words, the electro connects the emitter to the 0v rail just like a very low value resistor (about 10R). the resistor in the collector/ the resistor in the emitter. Increasing the value of the resistor in the emitter, decreases the gain of the stage. In Fig 57a, we saw this as NEGATIVE FEEDBACK. This effect is also called EMITTER DEGENERATION as it reduces the gain of the stage. It uses the circuit in Fig 61a to adjust the gain of the amplifier. The components in the red rectangle are not really needed when the resistor called: emitter resistor is used. They only adjust the "setting of the transistor" slightly up or down between the supply rails. Fig 61aa. The electrolytic increases the gain at high frequencies. Fig 61aa. shows two circuits with an electrolytic and resistor in the emitter. Why have these components been added? Firstly they will reduce the gain of the stage in circuit "A" but the high frequencies will be amplified more than the low frequencies. This is because the capacitive-reactance (resistance) of the electrolytic will be low at high frequency and prevent the emitter rising and falling and gives the stage a higher gain at high frequencies. In circuit "B" the electrolytic also allows the circuit to produce a higher gain at high frequencies without changing the DC biasing arrangements of the 4 resistors. I build the CE single stage amplifier and got the frequency response, but when I removed the emitter bypass capacitor to see how much the gain reduces, the output waveform dropped to zero! What is the reason for ZERO voltage gain without the emitter bypass capacitor? I don't know the value of the components you have used in your circuit but if the emitter resistor is 10k and the collector resistor is 10k, the gain of the stage will be "1" because the gain is the ratio of the collector resistor to the emitter resistor. If the collector is 10k and the emitter is 1k, the gain will be 10. This applies when NO emitter capacitor is present. When you add the emitter capacitor (electrolytic), the gain increases and can be as high as 70 or more. The reason for this has been covered above and that is why an emitter-bypass capacitor is included in many circuits. When you remove it, you will experience reduced output signal. In the above circuit by Samuel Budiyanto, we have a 3 transistor amplifier that he has designed with the specific requirement to be crystal clear. At the moment we are looking at the 100R resistors in the emitters of the first two transistors and seeing what effect they have. The first 100R will have very little effect on the gain of the stage but the designer of the amplifier says it improves the quality of the sound. The effect of 100R on the biasing of the stage will be very very small so you have to add it and listen to the improvement. The 100R in the second stage will have a slightly larger effect because the ratio of the 100R to 1k is about 10% and its inclusion will be noticed. It reduced the gain of the stage to about 10 (from about 70) and this will reduce the distortion considerably. The resistor is called an EMITTER FEEDBACK or EMITTER DEGENERATION and it effectively reduces the input signal. As the input signal rises above 0.65v, the whole transistor starts to rise and at the same time the collector-emitter terminals squeeze together. This is what is happening when you visualise the circuit. Say the input waveform rises 10mV. This will turn ON the transistor and the current through the collector-emitter terminals will increase. This will increase the voltage across the emitter resistor. Say the voltage rises 4mV. This means the transistor will really see an increase of only 6mV and the waveform on the collector will only be about 10 times larger than the base signal but the current capability of the waveform will be increased maybe 50 times. This stage does not provide any negative feedback in the form of improving the quality of the signal. It just prevents the signal being amplified too much and creating distortion. An amplifier has to do two things. It has to increase the amplitude (voltage) of the signal and the current. This stage increase the voltage 10 times and the current maybe 50 times. It has performed its task. Any high-frequency components of the signal are removed by the 1n on the collector. The 47R on the emitter of the third transistor is the output LOAD for the stage and is not an EMITTER FEEDBACK resistor. Just because it is in the same location as the other resistors does not mean it does the same job. It does an entirely different job. See EMITTER FOLLOWER. Fig 61b. Three circuits with the same gain. The three circuits above have (approximately) the same gain (amplification). The gain will be about 70-100. Even though the transistor may have a DC gain of 200-400, the base-bias resistor is acting AGAINST the incoming signal and this creates a reduction in gain. However we are looking at the idle-current (quiescent-current) and aiming to reduce this to a minimum for long battery life. The first circuit takes a high quiescent current because the load resistor is 1k. The second circuit takes about one-tenth the current and the third stage takes less. Minimum quiescent current is necessary when designing a battery operated project. But you must also take other things into account - such as the ability of the stage to deliver the maximum signal to the next stage. In this article we will explain the fact that a stage passes energy (signal) to the next stage via the output capacitor and the value of the load resistor. The first circuit above is capable of delivering a high signal to a next stage in your project whereas the second circuit has only one-tenth the capability of delivering a signal. And the third stage delivers even less. If you don't match-up the driving capability of one stage with the next, the gain of the stage will be very low and you will wonder why the project is not working. Start with a "high-current-stage" (circuit1) and gradually increase the value of the load resistor and change the value of the base-bias resistor to get mid-rail voltage on the collector. A point will come where the transfer of signal is a maximum and you will have achieved the minimum current for the stage with maximum gain. In general, a higher rail-voltage will produce higher gain and this is most-noticeable when increasing rail voltage from about 3v, to 6v or 9v.
" A transistor by itself is a transconductance amplifier, not a current amplifier." "The base current is a indicator of the collector current, but it does not control the collector current." " BJT bias networks are designed to forward bias the base-emitter junction with a current in order to have the junction develop the corresponding voltage." Many of these statements are totally untrue and/or merely complicate the understanding of how a transistor works. The circuit on the left is biased by a voltage-divider network. The transistor gets turned on when the voltage on the base is above 0.6v. Remove the transistor see what voltage is on the join of the two resistors. It is about 3v. This means the transistor will be turned ON when it is fitted to the circuit. Fit the transistor and the base voltage will be about 0.6v to 0.7v as it cannot rise above this value. The transistor is now turned ON and if it has a gain of 100, it will multiply the base current by 100. The base current is approx 10uA. The transistor will deliver 1,000uA (1mA) in the collector-emitter circuit. 1mA flowing though the 22k will create a voltage drop of 22v. But we don't have 22v available, so the full rail voltage of 10v will appear across the 22k. In other words, the transistor will be saturated and the 22k will limit the current to slightly less than 0.5mA and nearly 10v will appear across the resistor. In other words, the 1M is TOO LOW. It simply saturates the transistor and the collector sits at 0.2v !! Biasing A Transistor We have removed the lower resistor. The 470k removal has made almost NO DIFFERENCE. The transistor is saturated and the stage will not amplify "audio-type" signals. Audio signals need the stage to be biased at mid-rail so the rising portion of the audio signal can be amplified as well as the falling portions. This stage will amplify a DIGITAL SIGNAL. When the incoming Digital Signal is FALLING, the transistor will be turned OFF and the output will rise. Not a good design!! When the base-bias resistor is increased to about 10M, the voltage on the collector will be about mid-rail for a transistor with a gain of 100. But if we use a transistor with a gain of 200, the collector voltage will be very low. Since the gain of a transistor can be anywhere from 125 to 350 for a batch of transistors, the collector voltage will be any where from mid rail to very very low. Biasing a transistor like this is not recommended as the gain of the transistor and the temperature for the day will change the biasing conditions enormously. The base-bias resistor should be connected between the base and collector to produce a stage called SELF-BIASING. The base-bias resistor will be some where between 1M and 3M3 and the different transistors will have less effect on altering the collector voltage. Fig 62. Connecting a small-signal stage to a medium-signal stage Fig 62. When describing small-signal and medium-signal stages we are referring to the size of the waveform (voltage waveform) and also the CURRENT they are capable of transferring. The two values normally go together. In most cases the voltage AND current increase as it progresses though each stage. Both stages in Fig 62 produce a high gain but the final gain will depend on the amount of energy each capacitor will transfer. For instance, the 22k will pull the 10u high but the 47k discharges the 10u and so it will be partially charged for the next cycle. This means the energy transfer will only be equivalent to a load resistor of 47k. We have discussed the importance of matching the output impedance of one stage to the input impedance of the next stage. When the two are equal, the maximum energy is transferred. Suppose you want to match a very low resistance device (such as speaker or coil) to the input of an amplifier. The speaker may be 8 ohms and the input impedance of the common-emitter amplifiers we have described are about 500R to 2k. The two can be connected via a capacitor but we have already mentioned how a capacitor transfers only a small amount of energy when the two impedances are not equal. And when the two impedances are so mismatched as 8:2,000, the transfer may be very poor. The answer is to use a stage that has a very low input impedance. That's a COMMON BASE amplifier. Fig 63. Fig 63. The common-base amplifier (Common-Base stage) accepts a low value of resistance on the input and produces a high gain. Since the input is directly coupled to the transistor, there are no losses. We have already mentioned two ways to turn ON an NPN transistor. We are using the second option. The base is held rigid (as far as signals are concerned) and any rise or fall in voltage on the emitter appears on the collector with a voltage increase. Fig 64. Dynamic Microphone Fig 64. This circuit converts an ordinary speaker into a very sensitive microphone. The fact that the load resistor is (a low) 2k2, means the stage has a good capability of delivering energy to the next stage. We have already discussed the fact that the "load" resistor determines the capability of the stage to pass energy to the next stage. The impedance of the speaker is 8 ohms. Suppose we generate a voltage of 1mV from the speaker. This voltage will produce 1/8mA in the emitter-line. The collector current is almost the same as the emitter-current and thus the voltage produced across the 2k2 will be 2,200/8 = 275mV. Thus the gain of the circuit is 275. We are already assuming the voltage on the collector is 3v and the 47k has been selected to create this 3v. The collector can increase by 2.75v and decrease by 2.75 before clipping occurs and thus the speaker can produce a 20mV p-p before clipping. Fig 64a. Common Base and Common Emitter stages directly coupled together Fig 64a. This circuit adds a Common Emitter stage to the Common Base shown in Fig 64 to produce a DC coupled (Directly Coupled) amplifier with very high gain. The common-emitter transistor can be called a BUFFER stage as it provides a lower impedance output than the first stage. In Fig 71ac, (below) the output of the second transistor has been taken back to the input to produce an improvement called a BOOTSTRAP Circuit to create a higher gain. Fig 65. Hum Detector Fig 65. This circuit picks up mains hum via a coil. The common-base first stage has very high gain. And we can see a common-emitter stage plus a 3 transistor DC amplifier driving a speaker. All the things we have learnt, put into a single circuit. Fig 65aa. FM Transmitter Fig 65aa. The common-base amplifier can be found in many FM transmitter circuits. The electret microphone and 22n capacitor do not form part of this discussion, but the tuned circuit made up of the 8 turn coil and 10-40p capacitor form a TANK CIRCUIT and this will also be covered. We will start the operation of the circuit with the 4k7 base-bias resistor turning ON the transistor. The 1n capacitor is designed to hold the base rigid and at the moment it charges as the base voltage rises to turn on the transistor. As the transistor turns ON, two things happen. Current flows through the 330R emitter resistor (and a voltage develops across it). And current flows through the 8 turn coil. This voltage is being passed though the 4p7 and is lowering the voltage on the emitter. There are two ways to turn on a transistor. 2. Lower the emitter voltage with respect to the base. This is what the circuit does. The base is held rigid via the 1n and the emitter voltage is being lowered. This action turns on the transistor more and more until it is fully turned ON. At this point the flux being produced by the coil is a maximum but it is not increasing. This means the voltage on the collector is not reducing. In other words it is remaining stationary at some voltage that is lower than rail voltage. This means the pulse of energy through the 4p7 does not push the emitter voltage lower and the transistor is turned off a small amount by the increasing voltage-drop across the 330R. The current through the coil reduces and the magnetic flux surrounding the coil starts to collapse. This produces a voltage across the coil THAT IS IN THE OPPOSITE DIRECTION. The voltage on the collector starts to rise and this action is passed through the 4p7 to the emitter. The voltage on the emitter rises and the transistor starts to turn OFF. This action continues until the transistor is fully turned off. This all happens very quickly and the magnetic flux collapses very quickly and cuts the turns of the coil to produce a voltage that is much higher than the original voltage across the coil. The ratio of the original voltage to the final voltage is called the "Q" of the coil and it can be 10 or even 100 times higher than the original and provides the signal that is passed to the antenna. The capacitor across the coil simply charges and discharges during the cycle and the delay it creates produces the frequency of operation of the circuit. There are a number of ways to bias the base of a transistor so it is turned on a small amount or just at the point of turning on. There are reasons why a transistor is biased in different ways. If is it biased so it is just at the point of turning ON, it does not consume any current when in quiescent mode (idle mode) and is ideal for battery operation. However the transistor will not amplify the first part of a waveform as it will be less than the 0.6v needed to start to turn the transistor ON. If it is turned ON so the collector is half-rail voltage, it will amplify both the positive and negative parts of the waveform. If it has a resistor in the emitter, the current into the base will never damage the transistor. This is not strictly "base-biasing" but base-current-limiting. The voltage on the collector of a transistor using Fixed Base Bias will alter according to the actual gain of the transistor. This is not a reliable way to bias a transistor. Feedback Bias. The collector voltage is set by selecting the value of the two resistors in this diagram and if different transistors are used, the collector voltage will not alter as much as the Fixed Base Bias arrangement. Feedback base Bias is also called SELF BIAS. It gets negative feedback via the feedback resistor. Voltage-Divider Bias is also called BRIDGE BIAS and produces a very stable collector voltage over a range of transistor parameters and temperature ranges. Emitter-feedback Bias uses a resistor in the emitter to allow the base to rise above 0.7v without damaging the transistor. The emitter resistor is also called EMITTER DEGENERATION or EMITTER FEEDBACK. It produces negative feedback. Negative feedback is STABILISATION FEEDBACK. Fig 65b shows a transistor with a gain of 175 and 350 in a circuit. The collector voltage is 3.5v ofr the first transistor. If a transistor with a gain of 350 is placed in the same circuit, the collector voltage will fall to 1.75v. If the stage has a capacitor on the output and the waveform is less than rail-to-rail, the different gains will not affect the overall amplification of the stage. Although the gain of the two transistors is different, the approx gain that will be produced by this circuit is about 70 and this applies to a transistor with a gain of 175 or 350. The BASE BIAS resistor produces negative feedback and it reduces the effective gain of the circuit to about 70. In conclusion: The gain of the circuit is about 70. The collector voltage will fall when a high-gain transistor is used. If the circuit is producing a waveform of about 1500mV, the output will be the same for either transistor. If the waveform of these circuits is viewed on a CRO, the first transistor will be producing the 1500mV waveform towards the top of the screen on the CRO and the high-gain transistor will produce the waveform towards the lower part of the screen. When this waveform is passed though an output capacitor it does not matter where the waveform is generated on the CRO. Fig 65c Fig65c shows a common-emitter transistor and two BASE BIAS resistors. This arrangement is the simplest and best way to create a mid-voltage on the collector and maintain the same mid-voltage for a range of transistors with different gains. However the circuit requires 5 times more energy from a previous stage to achieve the same amplitude as the arrangement in Fig 65b. This is the same as saying the stage will produce a gain of: 70/5 = 14. In conclusion: To achieve a constant mid-rail voltage you have lost 80% of the gain and created a stage that takes more current. That's why this form of biasing has not been covered in this eBook. There are thousands of different types of transistors. When the first transistors were made, it was not possible to control the characteristics and a "batch" was made. They were then tested and some had a high gain and some would work with a higher rail voltage. This produced at least 8 different types and the "good one's" could be sold for a higher price and the others sold as "junk." As the manufacturing methods improved, the frequency capability of the transistor improved as well as current capability and lots of other factors. This produced new types and very soon we has hundreds of different transistors. New manufacturers came along and now we have thousands of different types. Replacing one transistor with another can be easy or it can be difficult. It depends on how and where it is operating and the importance of its operation. 1. Is it NPN or PNP? 2. Is the current capability of the transistor important? 3. Is the voltage capability of the transistor important? 4. Is the gain of the transistor important? 5. Is the frequency important? The cost of a transistor may be $1.00 but the postage may be $15.00 !!!! In our circuits we use BC547. This means an NPN transistor with a gain of about 100 and a maximum rail voltage of 25v. In our circuits we use BC557. This means an PNP transistor with a gain of about 100 and a maximum rail voltage of 25v. In other words you can use ANY transistor. If you are using a rail voltage above 25v or a current above 100mA, you will need to use a different transistor. The first thing to do is try another transistor and see if it works. Don't be too worried, just try it. Fig 66. 4-Transistor Amplifier Fig 66. This 4-transistor amplifier uses the minimum of components and has negative feedback via the 3M3 to set the voltages on all the transistors. It is actually 3 stages and that is why the feedback can be taken from output to input. Transistors 3&4 are equivalent to a single transistor called a Darlington transistor and this is covered in Fig 71. Fig 67. Fig 67. This Hearing Aid uses the 3-transistor DC amplifier covered above, (with some variations). Fig 69. Fig 69. This Hearing Aid circuit uses push-pull to reduce the quiescent current and also charge/discharge the electrolytic feeding the 8R earpiece. Fig 70. This Hearing Aid circuit has the first transistor turned on via a 100k and 1M resistors. Connected to this supply is a transistor that discharges the biasing voltage when it sees a signal higher than 0.7v This reduces the amplitude of the signal being processed by the first transistor and produces a constant volume amplifier. How does reducing the voltage on the base of the first transistor reduce the gain of the first stage? When the voltage delivered by the 100k and 1M resistors on the base of the first transistor is REDUCED, the current (energy) being delivered to the base is reduced and thus more energy has to be delivered by the 100n capacitor. This causes a larger signal-drop across the 100n coupling capacitor (discussed in Fig 71c below) and thus the amplifier produces a reduced amplification. This is along the same lines as changing from a "Class-A" amplifier to a "Class-C" amplifier (as shown in Fig 107a) where a "Class-C" amplifier gets ALL its turn-on energy from the coupling capacitor. Fig 71. Fig 71. Two NPN transistors connected as shown in the first diagram are equal to a single transistor with very high gain, called a DARLINGTON. The second diagram shows the symbol for an NPN Darlington Transistor and the third diagram shows the Darlington as a single transistor (always show a Darlington as TWO transistors.) One difference between a Darlington and a normal transistor is the input voltage must rise to 0.65v + 0.6v5 = 1.3v before the NPN Darlington will turn ON fully. Fig 71aa. Fig 71aa. shows two PNP transistors connected to produce a single transistor with very high gain, called a PNP DARLINGTON. The second diagram shows the symbol for a PNP Darlington Transistor and the third diagram shows the Darlington as a single transistor. The input voltage must fall 0.65v + 0.6v5 = 1.3v before the PNP Darlington will turn ON fully. Fig 71ab. Fig 71ab. shows a NPN and PNP transistor connected to produce a single transistor with very high gain, called a Sziklai Pair. The second diagram shows a PNP and NPN transistor connected to produce a single transistor with very high gain, also called a Sziklai Pair. The advantage of this arrangement is the input voltage only needs to be 0.6v5 for the Sziklai Pair to turn ON fully. The Sziklai Pair can also be used as an emitter-follower. The output is just 0.65v below the input and the loss across the output transistor is less than 0.5v. Fig 71aba. Note: Some Darlington transistors have inbuilt resistors and this reduces the input impedance enormously. Two separate transistors in Darlington configuration will have an input impedance of about 300k. The Darlington in the diagram has in input impedance of about 8k. Fig 71abab-1. In Fig 71abab we have a single Darlington transistor and two transistors in Darlington configuration. But they do not perform the same in reality. The difference is most noticeable when the load current is high. Fig 71abab-1 shows the difference. The voltage on the collector of a Darlington transistor will be much higher than a normal transistor (carrying the same current). This is one of the characteristics of a Darlington transistor that has to be recognised. Fig 71abab-1 shows voltages when the transistors are carrying full current and the different output voltage is considerable. A Darlington transistor has a much-higher collector-emitted voltage than a normal transistor. Fig 71abab-2. Fig 71abab-2 shows voltages when two transistors are connected to produce a Darlington configuration. These voltages are only approximate but show how the output voltage is created. This means the load gets pulled down to 0.8v to 1.5v above the 0v rail, for a Darlington configuration, whereas a normal transistor will pull the load down to about 0.2v to 0.5v. When the current is 1amp to 10amp, this arrangement will have a voltage-drop of about 2.2v to 2.5v and at 10amp, this represents a loss of 25 watts!! Not a good design. All transistors produce different results however the voltage across the Darlington is always higher than the second circuit in Fig 71abab-1. The losses in a Darlington can be as high as 400% more - it all depends on how the two transistors are connected. Fig 71abab-3. Fig 71abab-3 shows voltages when two transistors are connected in Darlington configuration as emitter-followers. The load loses at least 1.35v and this is considerable when the supply voltage is small. It also means a lot of heat will be lost in the driver transistor. Fig 71abab-4. Fig 71abab-4 shows two transistors connected as a Sziklai Pair. This produces 0.9v across the output transistor. Fig 71abb. Fig 71abb shows two transistors "on top of each other" called a DARLINGTON Pair. This arrangement produces a very high input impedance of about 200k and only a very small current is required to produce a "swing" on the output. The circuit is commonly called a SUPER ALPHA PAIR and the input voltage must rise to 0.65v + 0.6v5 = 1.3v before the circuit will start to turn on. The actual high impedance only occurs when the Darlington pair is just starting to turn on (when the voltage is 1.3v). Below this voltage the impedance is infinite (but of no use). Above 1.3v, the Darlington needs slightly more current and the input impedance is slightly less. Fig 71abc. Fig 71abc shows a CURRENT BUFFER stage. Both the EMITTER FOLLOWER and COMMON EMITTER stages can be used as a CURRENT BUFFER and both have the same current amplifying value. A current buffer simply assumes you have a waveform with sufficient voltage but not enough current to drive a LOAD. If the EMITTER FOLLOWER stage can be connected directly to a previous stage, this makes it the better choice. Fig 71abc-1. Fig 71abc-1 is slightly different to a CURRENT BUFFER CIRCUIT (see above) or a CONSTANT CURRENT CIRCUIT. This CURRENT SOURCE circuit has some or all the features of the other two circuits but it operates slightly differently and you can use it to deliver a constant current to a load provided the following voltages are provided. 1. In this example, the microcontroller is supplied from a 5v supply, and the output of the microcontroller is 4.7v. The CURRENT SOURCE circuit uses this 4.7v as a reference and when combined with the resistance of the emitter resistor, a collector current is produced that remains FIXED providing the supply voltage is higher than about 6v and the LOAD accepts the current. The LOAD can be any device that accepts the current and can be a device that would normally take MORE current. In other words the LOAD can be a very low resistance such as a SHORT-CIRCUIT and the current flowing will still be the same as when the previous LOAD is connected. The LOAD can take LESS current but not more. 2. The supply voltage is about 9v to 20v. Figure A: The micro outputs a HIGH and this turns on the transistor. The LOAD tries to take a lot of current and this current flows through the 4k resistor. When the current reaches 1mA, 4v is developed across the resistor. Suppose the LOAD tries to take more current. A greater voltage will be developed across the resistor and the base-emitter voltage will be less and the transistor will turn OFF slightly. This will reduce the current to 1mA. For figure B: the current flowing through the 400R resistor will be 10mA and 4v will develop across the resistor. For figure C: the current flowing through the 40R resistor will be 100mA and 4v will develop across the resistor. The supply voltage can be 8v or higher and the circuit will only deliver 100mA. Very few devices take a constant current however the circuit can be used to deliver a maximum current and protect a project while being tested. This circuit only works when the load is connected. When the load is removed, the transistor becomes equal to a diode and the output of the microcontroller drives into the emitter resistor as a LOAD via a diode. Fig 71abd. Fig 71abd shows a VOLTAGE BUFFER stage. You can also say it is a VOLTAGE FOLLOWER as the output voltage follows the input voltage. You need to define why you need a Voltage Buffer. In most cases a device (or circuit or stage) will produce a voltage but very little current and if this is connected to another circuit, the output will be reduced (attenuated). To prevent this, an EMITTER FOLLOWER can be used as a VOLTAGE BUFFER as the output follows the input EXACTLY but 0.6v lower than the input. The EMITTER FOLLOWER stage provides added current so the voltage from the source is not attenuated. A Voltage Buffer and Current Buffer circuit can be identical. It's all in the way you describe your requirements. Fig 71abe. Fig 71abe shows a VOLTAGE AMPLIFIER stage. It is really a common-emitter stage with another name. The circuit can have a base-bias resistor or it can be removed. The actual voltage gain of the circuit is unknown and will depend on the transistor and surrounding components. However this is a Voltage Amplifier stage and Fig 71abb above can also be classified as a Voltage Amplifier. You can call a circuit by a name that describes what it is doing in a project. Fig 71ac Another very interesting circuit is the Bootstrap Circuit. It uses positive feedback to achieve very high gain. The two transistor circuit shown in Fig 71ac has a gain of approx 1,000 and converts the very low output of the speaker into a waveform that can be fed into an amplifier. The circuit is simply a common-base stage and an emitter-follower stage. But the output of the emitter-follower is taken back to the input of the same stage and this is the Bootstrap feature. It is like pulling yourself UP by pulling your shoe laces. When the voltage from the speaker reduces by 1mV, the transistor turns ON a little more and pulls the collector voltage lower. This action takes a lot of effort and to pull it lower, requires more energy from the speaker. In the Bootstrap circuit, the first transistor pulls the 10k down and this pulls the emitter-follower transistor down. At the same time the 22u is pulled down and it pulls the 10k down to assist the first transistor. In other words the first transistor finds it much easier to pull the 10k resistor down. When the first transistor turns off, the 2k2 pulls the 10k resistor UP and it is aided by the 22u. The end result is a very high output voltage swing. Fig 71acc Fig71acc shows a Sound Activated Switch using a BOOTSTRAP arrangement for the first two transistors. collector voltage will be very low and the second transistor will be biased OFF and the third transistor will also be OFF. The relay will not be activated. When the electret microphone receives audio in the form of a CLAP, the peak will not have any effect on the first transistor as it is already saturated, but the falling part of the waveform will reduce the voltage on the base and allow the transistor to turn off a small amount. This will turn ON the second transistor and the voltage on the collector will fall. The 4u7 is connected to this point and it will fall too and reduce the voltage on the base of the first transistor considerably. This will turn the first transistor off more and the process will continue and turn on the relay. But during this time the electrolytic is discharging, then charging via the 3M3 and eventually it charges to a point where the base of the first transistor sees a voltage above 0.7v and it is turned on again. The collector voltage of the second transistor rises and this turns on the first transistor fully and the two transistors swap states. The relay turns off. If the microphone continues to produce negative (or falling waveforms), the relay will continue to remain energised. The 4u7 has the effect of a "snap action" where the circuit very quickly changes from one state to the other. It is very similar to the action you get with a SCHMITT TRIGGER. This circuit is not a LATCH. The relay does not stay energised. It is only energised for a short period of time. It is exactly the same circuit as Fig 71acc above, but "up-side-down." Designing and drawing a circuit is all about "INSTANT RECOGNITION." Don't draw circuits up-side-down when there is an equivalent circuit using NPN transistors. NPN transistors are the first to be used in a design. This has come-about by convention. Originally, NPN transistors were cheaper and better performers. But as technology progressed, they are now both equal in performance. But since most circuits have been designed with NPN transistors, this is the way to maintain convention and make the circuit instantly recognisable in performance. The 4u7 (or any value used in the feedback section) performs an amazing task. In most amplifier circuits, the signal is increasing due to the gain of the transistor. And this might be a gain of about 100. But the electrolytic in the feedback (BOOTSTRAP) line feeds-back a signal as high as 100 x 100 times! In fact it feeds back a signal that COMPLETELY changes the state of the two transistors. Not only does it convert the two stages into a state called a DIGITAL STATE but it hold them in the state for a period of time, while the electrolytic either charges or discharges. This effect is ENORMOUS compared to the size of the signal passing through the circuit. There are two types of FEEDBACK. Positive and Negative. Positive feedback delivers a signal that makes the circuit produce a larger signal. This feedback may be in the form of a signal that moves in the negative direction. We are not talking about the signal being in the positive or negative direction, we are talking about the effect it has on the circuit. Negative Feedback is where the signal passes back to a previous stage to reduce the amplitude of the signal. In most cases the feedback signal has a greater effect on the peaks (and troughs) and these normally represent noise or distortions in the signal. In this way the quality of the signal is improved. Designed 12-11-2011 - C Mitchell Fig71acd shows a 3 transistor circuit using a piezo diaphragm to detect the noise of a clap. The first two transistors form a high-gain amplifier, studied in Figs 40 & 40a. The voltage across the 33k resistor is kept below 0.7v by adding the 1M5 and 1M voltage-dividing resistors to the base of the first transistor and this sets the voltages for the first two transistors. The sound of a clap produces a waveform across the 33k to turn on the third transistor and this pulls the 100u down via the 100k, to turn ON the BC557. This keeps the 2nd and third transistors turned ON and illuminates the LED for about 15 seconds. The 100u charges via the 100k and the emitter-base junction of the BC557 and initially this current is high. But gradually the 100u becomes charged and the current-flow reduces and eventually the BC557 cannot be kept ON. It turns OFF and the third transistor turns OFF too. The negative end of the 100u rises and takes the positive end slightly higher too. The 100u discharges through the 27k, 100k and 10k resistors. The circuit takes about 20 seconds to reset after the LED goes out. During this time the circuit will not respond to another clap. The quiescent current is about 20uA, allowing 4 AA cells to last a long time. This circuit is very clever in that it uses the middle transistor TWICE. It is equivalent to having 4 transistors. The first two transistors form a high-gain amplifier and the middle and third transistors form a delay-circuit using a BOOTSTRAP arrangement discussed above. As we mentioned at the beginning of this eBook, three directly-coupled transistors can produce an enormous gain and you have to be very careful that unwanted feedback (sometimes called motor-boating) does not occur. We have avoided this by keeping the voltage across the 33k below 0.6v so the third transistor is only turned ON when noise is detected. The second and third transistors then turn into a switch to keep the LED illuminated and the 100u creates a time-delay. One of the most important features of a circuit is FEEDBACK. The circuit above is a flyback oscillator and it has a very important feature. It operates at the most ideal frequency and takes the least current. But how does it oscillate? The secret is the FEEDBACK from the 275 turn secondary winding to the base of the transistor. The 3 turn primary winding must be connected around the correct way for the circuit to oscillate. The LED appears to be up-side-down but it used to protect the transistor. The circuit turns ON slightly via the 22k resistor and current flows in the 3 turn winding. This produces flux that cuts the 275 turns. A small voltage is produced in the secondary winding and the positive of this voltage comes out the bottom. Even though the top of the winding is open to the air, a voltage will appear both at the top and the bottom. Normally an equal voltage will appear at each end, but as soon as the bottom voltage reaches a single volt, the remaining voltage will appear out the top. This has the effect of turning the transistor ON more and this keeps happening until the transistor is fully turned ON. The voltage out the bottom does not increase but the current it produces will increase. This is what turns the transistor ON more and more. During this time the flux is called EXPANDING FLUX and all of a sudden the transistor cannot turn ON any more. This flux now becomes STATIONARY FLUX and this type of flux does not produce a voltage in the secondary. The high voltage instantly ceases and the transistor turns OFF. The flux starts to reduce (COLLAPSE - called COLLAPSING FLUX) and this produces a voltage in the secondary winding that is of opposite polarity. This delivers a negative voltage to the base of the transistor and you may be able to see the LED illuminate because it is wired "up-side-down." The flux collapses to almost zero and the negative voltage on the base is reduced. Eventually the positive voltage provided by the 22k resistor starts to turn the transistor ON again to start the next cycle. The circuit is very simple and if you missed the FEEDBACK feature, you will not be able to work out how the circuit works. It takes time for the transistor to turn ON and time for the flux to collapse and this produces the frequency at which the circuit operates. The frequency will be anywhere between 50kHz and 300kHz. The project "looks good" but is highly inefficient. The secondary should be "bunched up" and consist of layers that are under the primary winding so the flux from the primary will pass through the secondary turns. A circuit or "stage" can be classified as LOW IMPEDANCE. This can refer to its INPUT IMPEDANCE or its OUTPUT IMPEDANCE or BOTH. We have already covered this type of circuit but have not specifically referred to it as LOW IMPEDANCE. Low Impedance generally refers to a component on the input or output that is less than 500 ohms. The circuit can also be called "Impedance Matching" or a "Driver Stage" and the following two circuits can be classified as "Low Impedance:"
Fig 64. The input impedance of the common-base stage is very low. Fig 64aa. The output impedance of the emitter-follower stage is very low. The input impedance is 100 times greater than the output. 100 x 8R = 800R. The input impedance can also be classified as LOW IMPEDANCE. One reader said the input should be classified as HIGH impedance as the emitter follower is a high impedance stage. But the input impedance of Fig: 64aa is only 800 ohms and although it multiplies the 8 ohm speaker by 100, the input impedance is LOW and any circuit that drives Fig 64aa will see the stage as LOW IMPEDANCE. A low-impedance circuit (such as Fig 64) can employ non-screened, long leads between the speaker and input of the circuit without the problem of noise, hum or spikes being picked up. This is one of the reasons for using a low-impedance circuit. It does not pick up noise. The reason it does not pick up noise is this: Noise consists of high-voltage spikes that have low current. This type of waveform does not have the "strength" to raise and lower the signal on a low-impedance input and thus it does not appear on the input. A circuit or "stage" can be classified as HIGH IMPEDANCE. This can refer to its INPUT IMPEDANCE or its OUTPUT IMPEDANCE or BOTH. High Impedance generally refers to a component on the input or output that is higher than 1M or a set of components that cause the transistor to take very little current. This type of circuit is very unstable and prone to interference and noise and spikes from external sources. In addition, the voltages on the transistor will change with temperature and the gain of the transistor. The following circuit has very high value resistors on the first transistor and this allows it to detect very small changes in voltage due to very small changes in current-flow in the components in the circuit. The first two transistors form a very high-gain amplifier. If the 100p is removed, the circuit will not work. If a capacitor is placed on the base of the first transistor, the circuit will not work. The circuit must be kept as shown. The first two transistors form a very unusual "feedback-oscillator." The circuit is not really an "oscillator" but a circuit with high instability. It's the same instability as "motor-boating" or "squeal." The feedback is the 3M3 on the base of the first transistor. It delivers the signal from the output to the input. The circuit needs "noise" to start its operation and it can sit for 5 seconds before self-starting. Let's look at how the two transistors are connected. They are directly connected (called DC connection) and this forms a circuit with very high gain (about 250 x 250 = about 60,000). Transistors can achieve very high gain when lightly loaded. Both transistors are arranged as common-emitter amplifiers. Here is the amazing part of the circuit. The 100p is acting as a miniature rechargeable battery. It takes time to charge and discharge and produces the timing (the frequency) for the oscillator. To start the discussion we consider the 100p is holding the emitter of the first transistor "rigid." This makes it a common-emitter stage for a PNP transistor. The transistor will produce a very small amount of junction-noise and because the 2M2 collector-load is such a high value, the noise will be passed to the base of the second transistor. We will assume the first transistor turns ON a small amount due to this junction-noise. This will make the collector voltage rise and this will be passed to the base of the middle transistor. This will turn on the middle transistor and the voltage on the collector will fall. The base of the first transistor is connected to this via a 3M3, and the base voltage will fall. The emitter is being held "up" by the 100p and because the base-voltage drops, the transistor turns on more. It gets current to turn on from the energy in the 100p and this allows the middle transistor to turn ON more. This action continues with both transistors turning ON more and more. The energy to keep the transistors turning ON comes from the 100p and the voltage on this capacitor drops. Eventually the voltage falls to a point where the first transistor cannot supply energy to the base of the second transistor and the collector voltage rises. This makes the base of the first transistor rise and it gets turned off a small amount. This action turns off the middle transistor slightly more and eventually they are both turned off. The 100p is charging during this time via the 3M3 and eventually the emitter rises to a point where the first transistor gets turned ON a small amount to start the next cycle. There are a couple of features you have to understand with this circuit, (the first transistor) because it uses very high value resistors. 1. The feedback signal will pass through the 3M3 resistor to the base of the first transistor with very little attenuation (reduction) because the base presents a very high impedance due to the fact that the transistor is very lightly loaded and the base requires very little current. 2. Normally a 100p could not be used to create an audio frequency as it provides very little energy and be able to only produce a very high frequency. But when the timing resistor is a very high value (in this case the 3M3 on the emitter) it will take a long period to charge and discharge and an audio frequency can be obtained. The 100p sees a waveform of nearly 7v during its charge and discharge cycles. THE VOLTAGE DIVIDER We have covered many circuits and one question you will be asking is: "How do you select the resistor for the collector load?" or "Why is the voltage on the collector equal to half-rail?" The answer comes under the heading: VOLTAGE DIVIDER. When two equal resistors are placed in series, the voltage at their join is equal to half the rail voltage. But if the values are different, the voltage is either higher or lower. The circuit is still called a VOLTAGE DIVIDER. The load resistor is one resistor and the transistor is the other resistor. But the other resistor does not have to be a transistor, it can be a relay, globe, motor or Light Dependent Resistor. We will take the simple case of a Light Dependent Resistor (LDR). The LDR we are using is 300k in the dark and 470R when fully illuminated. An LDR must be connected in series with a resistor to create a circuit called a VOLTAGE DIVIDER so the voltage at the join of the two components can be connected to a detecting-circuit. This voltage is called the "pick-off" voltage. The detecting-circuit in this case needs to see about 8v when the LDR is not illuminated and about 1v when illuminated. Let us select 900k for the LOAD RESISTOR. The voltage at the join will be 3v when the LDR is not illuminated. (we have selected values for easy calculating.) The total resistance is 1,200k This means each 100k will have 1 volt across it. 900k will have 9v across it. The resistance of the load resistor is too high. See next diagram . . . Using 100k load resistor. The voltage at the join will be 9v. The total resistance is 400k. Each 100k will have 3v across it. The "pick-off" voltage will be 9v when the LDR is not illuminated. . But if the LDR sees a low level of illumination in a normally-lit room, its resistance will be about 50k, so we need to change the values to reflect this. Choose 22k for the LOAD RESISTOR. The voltage at the join will be about 8v when the LDR is faintly illuminated. This is called a "realistic assessment." You have to consider a small amount of light will be present in a normal environment and this will reduce the resistance of the LDR from 300k to about 50k. Now we will determine the "pick-off voltage" when the LDR is brightly illuminated from say a torch. The voltage at the join will be about 0.5v when the LDR is fully illuminated. The 22k load resistor produces the required 8v and 1v values for the "pick-off' voltage. The same VOLTAGE DIVIDER principle applies to this transistor stage. The transistor and 2M2 are effectively equal to 22k since the "pick-off voltage" is half rail voltage. When the collector voltage sits at half-rail, the signal can extend in the positive direction and negative direction by the maximum amount. To achieve mid-rail voltage, the base-bias resistor is selected to get 6v on the collector. There is no formula to achieve mid-rail voltage as it will depend on the gain of the transistor and most of them come from a batch with a wide range of values. Simply select a base-bias resistor that provides half-rail voltage. The stage is classified as a self-biased stage as a capacitor is added to the input and output, when the stage is added to a circuit. Enter any of the three values, and then click the Calculate button. This is a topic that has never been discussed in any text books, but is very important. Circuits MUST be drawn so thy are easily understood and recognised. There are lots of ways to mess up a circuit and make it impossible to work out what is happening. Use the appropriate symbol. Some symbols are hard to identify. Use the common symbol. Keep all the components close together. Keep the circuit as small as possible. If a signal runs though the circuit, make sure the signal travels from left to right. This is obvious in an audio circuit, but it is also important in a digital circuit. Make sure the lines from one component to the other are as short as possible. Make sure the positive rail is at the top and the 0v rail at the bottom. Use the minimum amount of numbering and lettering. DO NOT use R1 R2 C1 C2 etc without the actual values. You are producing a CIRCUIT DIAGRAM not a component list or wiring diagram. A CIRCUIT DIAGRAM shows how the circuit works. All the other diagrams can come later, such as component list, wiring diagram, layout diagram. Many people produce a diagram with R1, R2 etc and you have to refer to a parts list to see the values. These people are NOT ELECTRONICS ENGINEERS. They have absolutely no idea about electronics. They are fooling themselves. No-one can work out how a circuit works with R1 R2 etc. A circuit diagram is actually a MOVING, WORKING circuit in action. These people have not arrived at the stage of seeing a circuit in operation. That's why they produce a worthless diagram with R1 R2. That's how you can instantly tell if a person has any understanding of electronics. In the same way, a circuit diagram does not have connector pin numbers or any details that refers to component size shape, placement or colour. A circuit diagram is as simple as possible and MUST have all the information so the project can be built without referring to any other list. That's why coil details or component types must be included if a special component must be used. This care-to-details is then passed to the details on a PC board so the project can be constructed without needing to refer to any other information. You must be able to pick up a PC board and build the circuit with the details provided on the board. I have 250 different projects and if I didn't abide by this policy, I would never be able to put a project together after a year of designing other projects. I can't remember every project and every component. That's the job of the legend on the top of the board. It identifies every component and makes assembly a breeze. All my kits can be assembled by following the values printed on the top and bottom of the PC board. There lots of badly drawn circuits in the SPOT THE MISTAKE section. There is also a CONVENTION - a right way or good way or best way to draw certain blocks or block diagrams or sets of components. If you don't draw the conventional way, you can make a silly mistake as shown in Spot The Mistakes. This circuit does not work and you can see the discussion HERE. Drawing things correctly shows you know what you are doing. Draw things incorrectly shows your are a NOVICE and it just makes things worse for anyone trying to get the circuit to work. On the next page we continue our coverage of the transistor (called a Bipolar Junction Transistor - BJT or "normal" or "standard or "common transistor") in amplifying circuits, including oscillators . . .